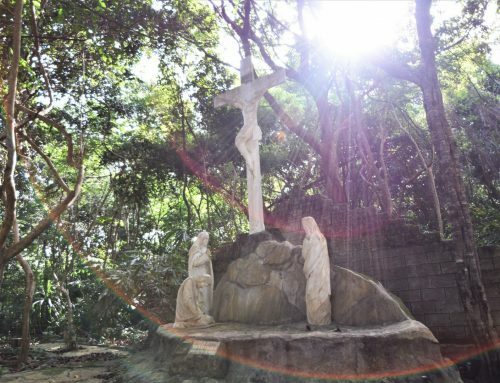 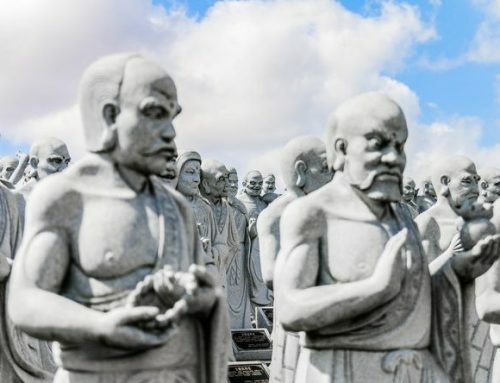 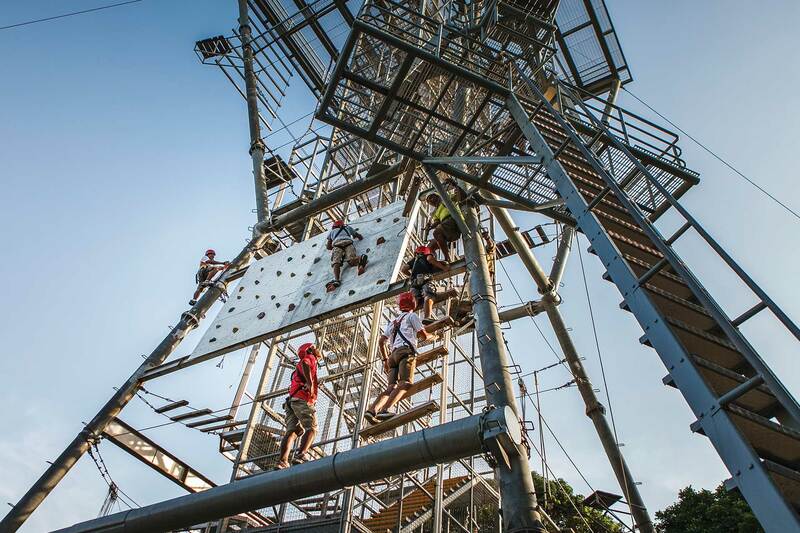 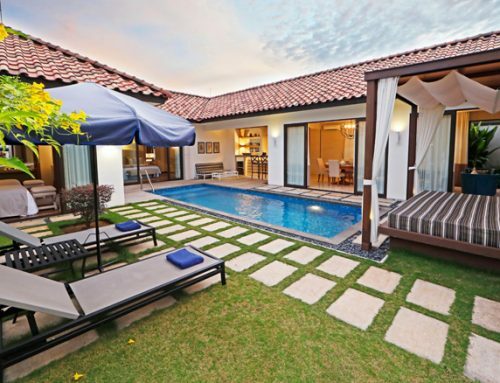 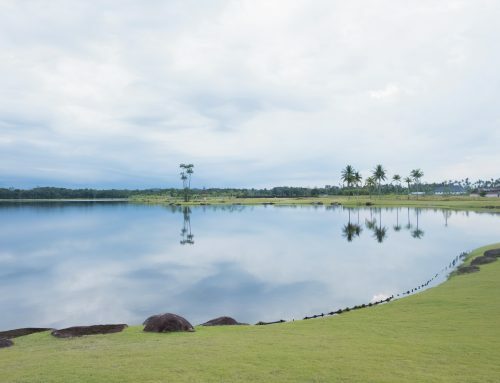 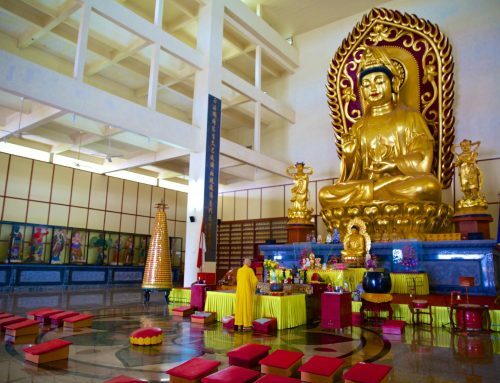 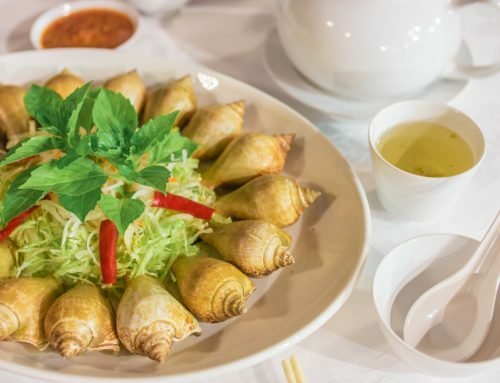 If you are thinking of satisfying cravings beyond the comfort zone of your resort, make the move over to the Pujasera Township for a pleasant surprise. 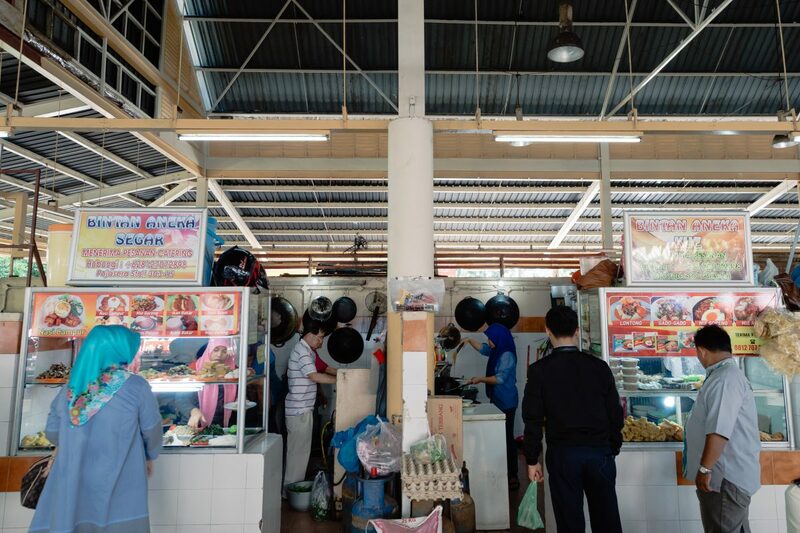 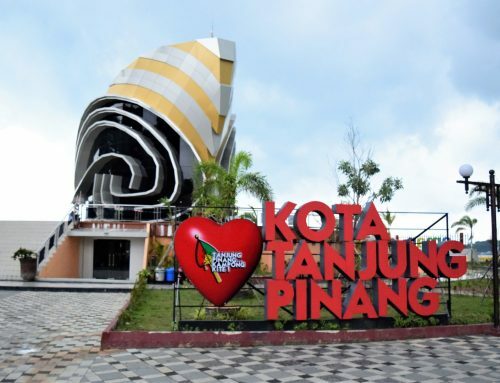 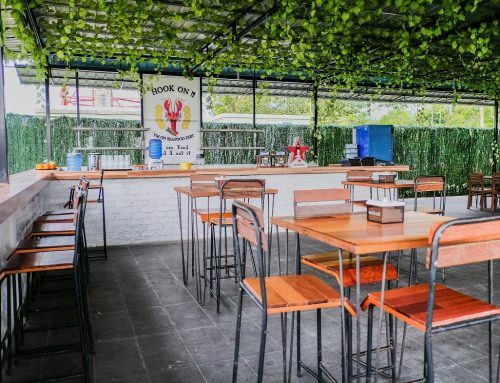 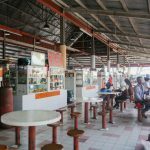 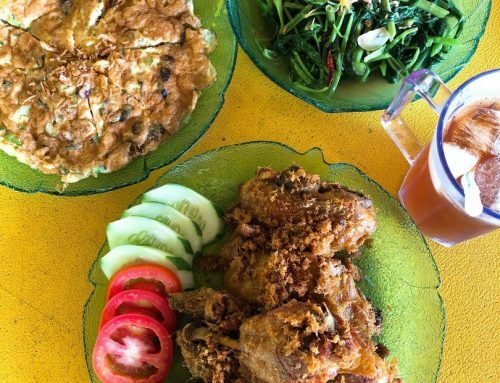 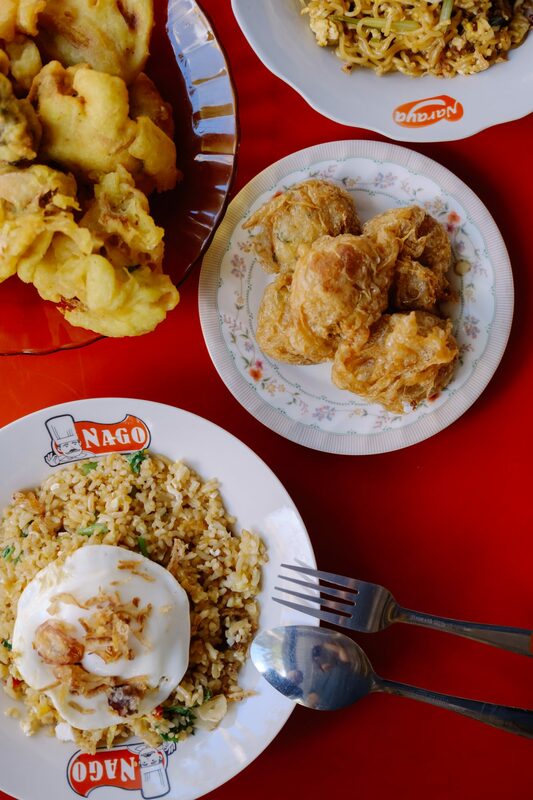 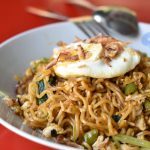 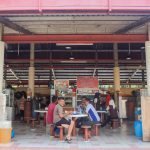 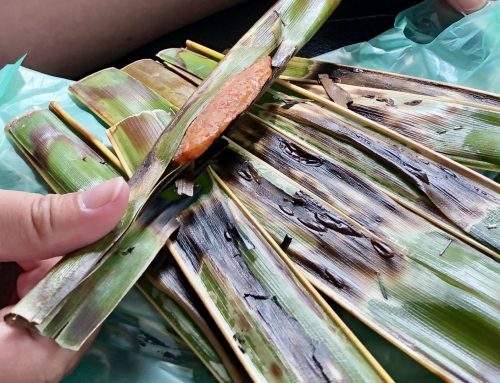 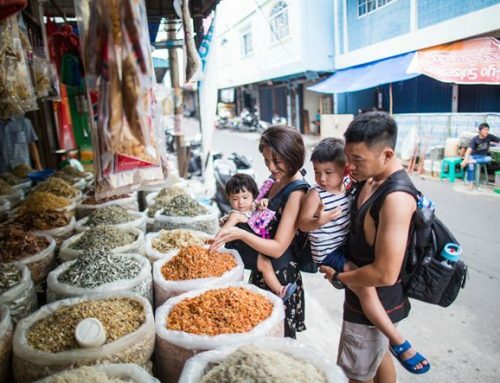 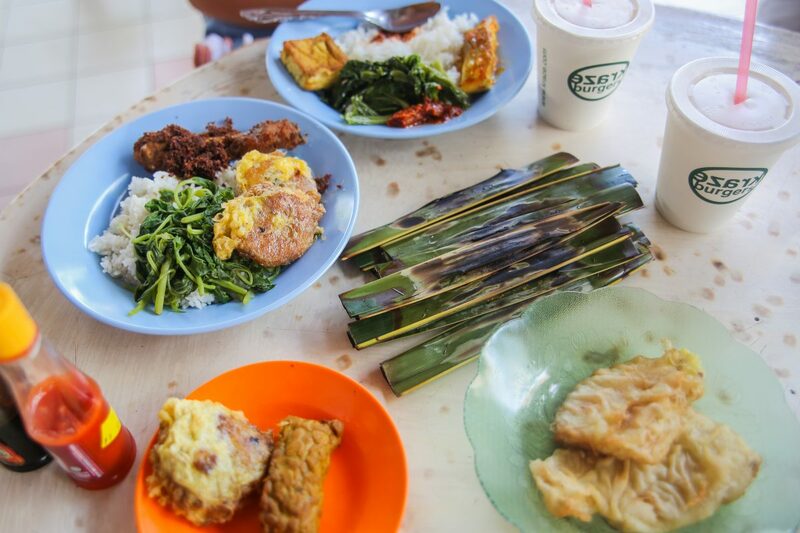 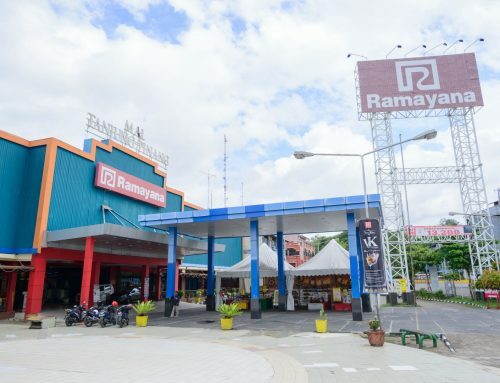 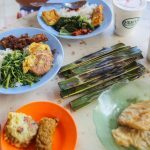 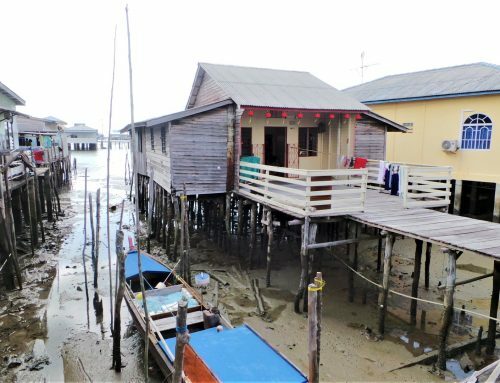 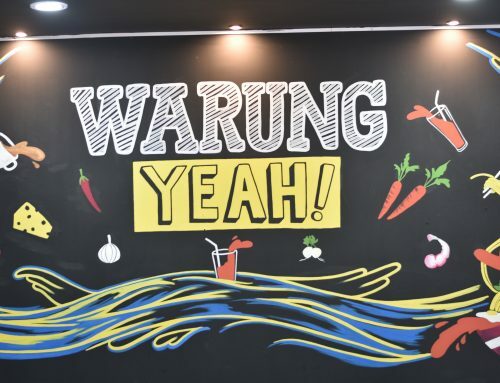 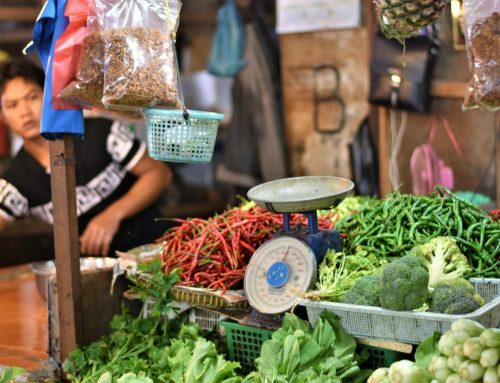 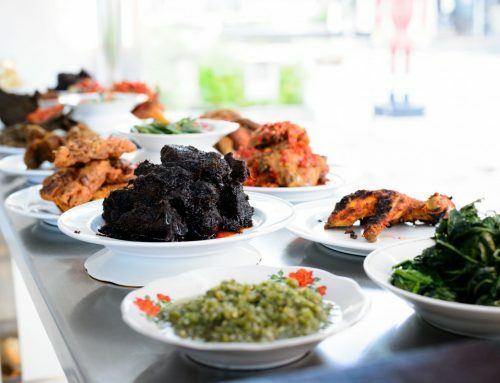 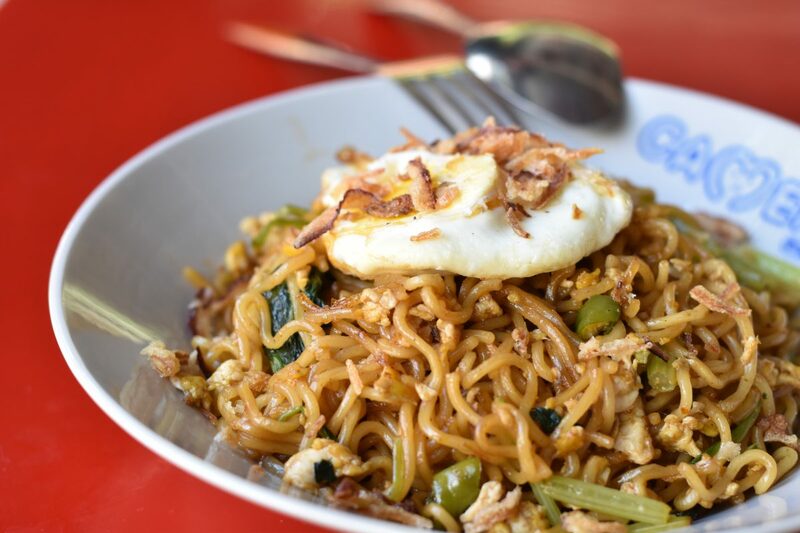 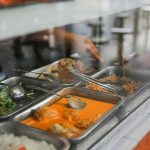 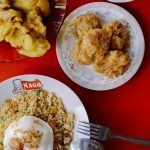 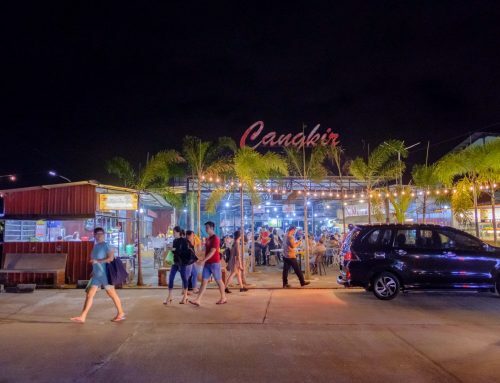 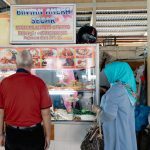 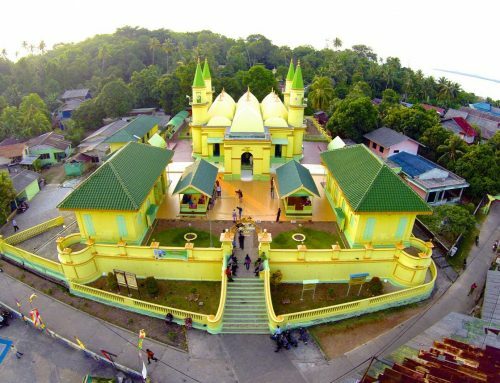 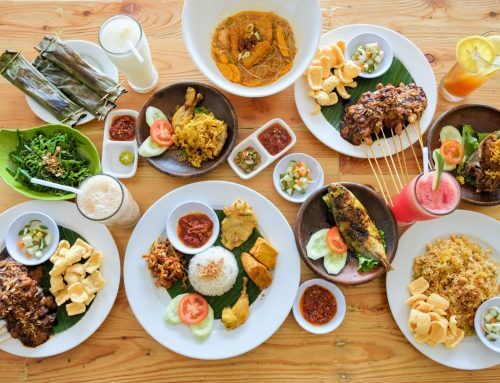 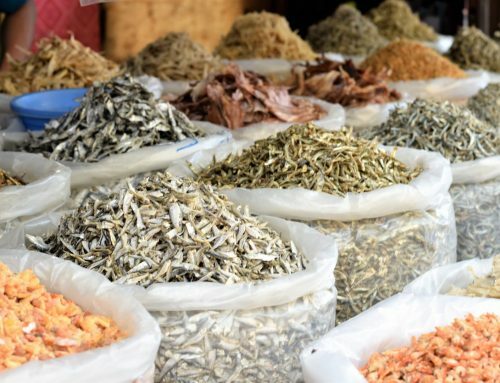 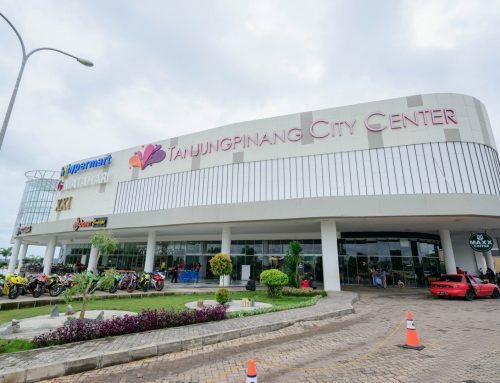 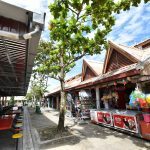 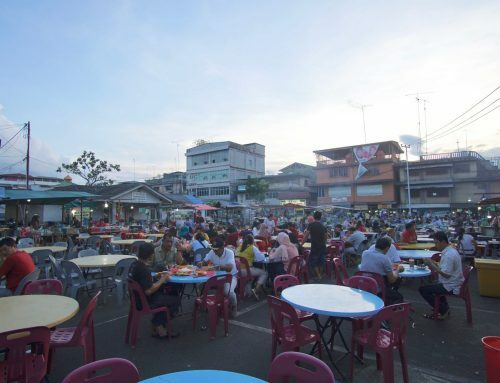 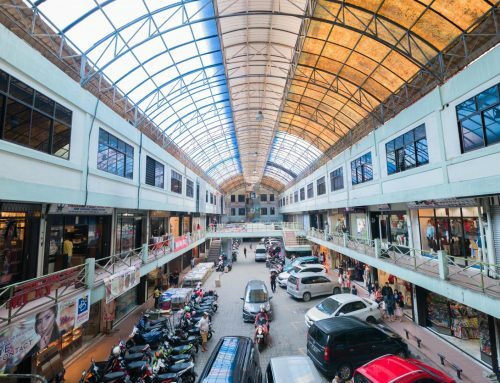 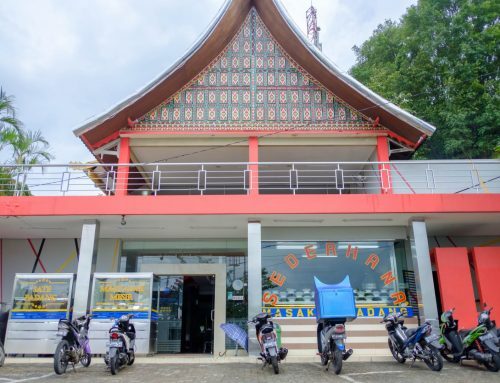 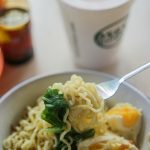 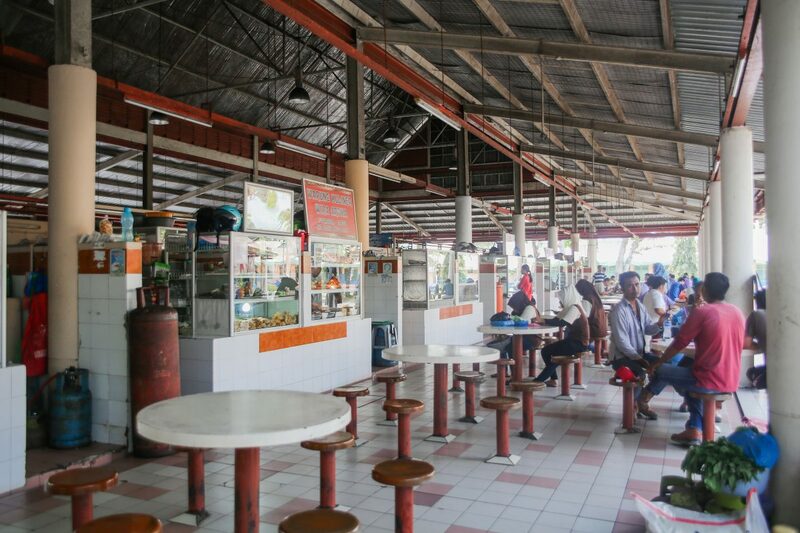 Located about 5 minutes away by car from Bandar Bentan Telani Ferry Terminal, the food centre of Pujasera Township has wide offerings of local delights like Ayam Penyet, Nasi Goreng, Soto Ayam, Indomie Goreng and Goreng Pisang at affordable local prices. 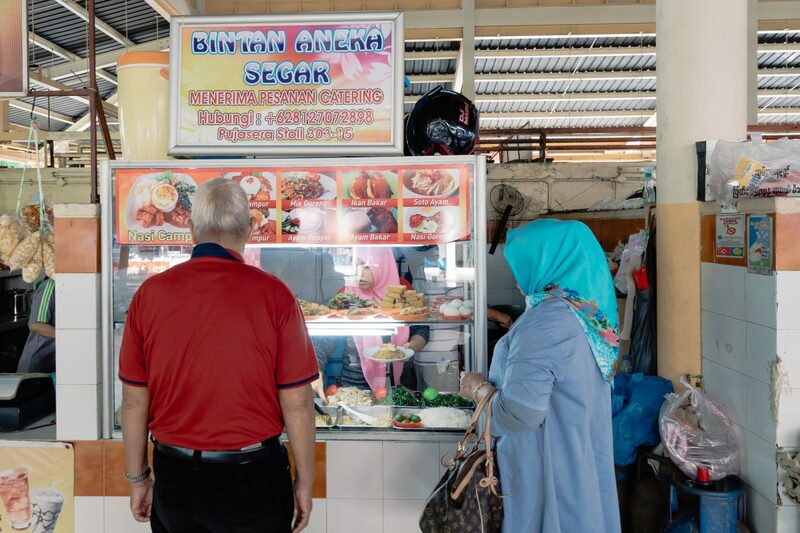 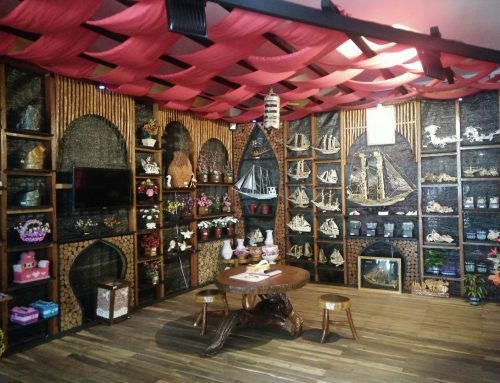 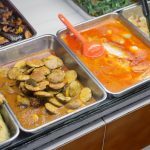 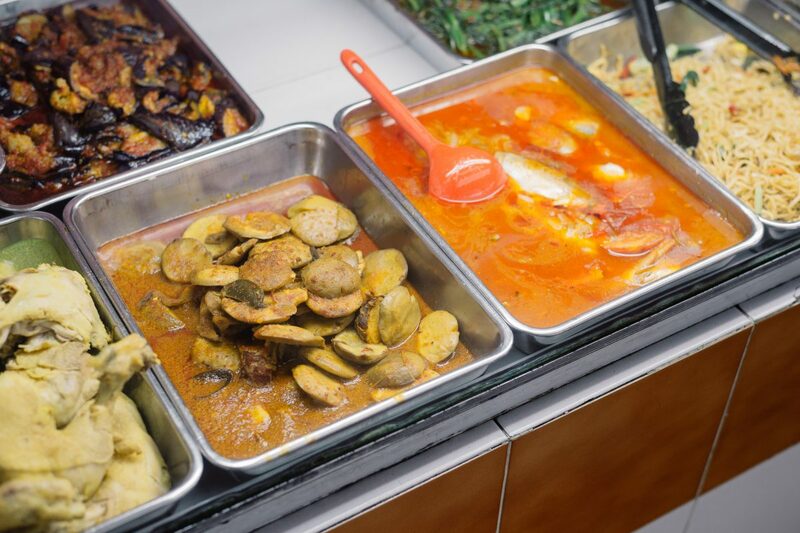 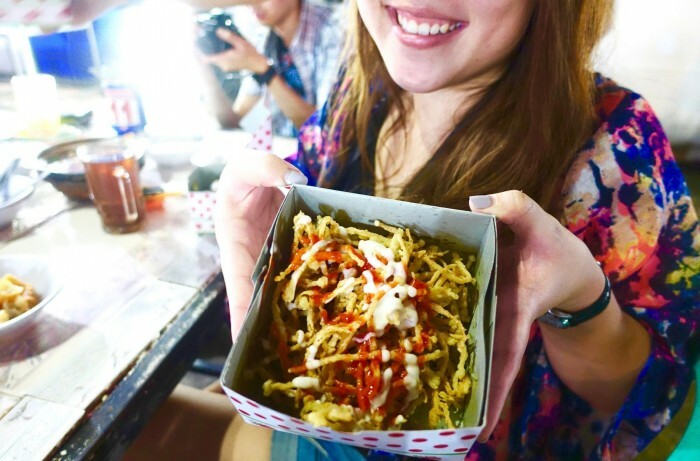 One of the stalls – Lamak Basamo is also known to serve Nasi Padang in traditional Hidang style, where dishes are laid out in individual plates like that of a banquet and you pay for only what you have consumed. 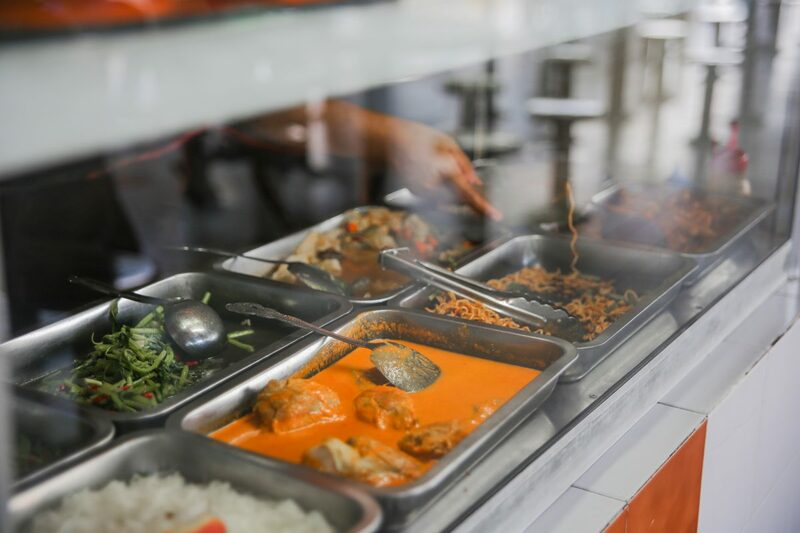 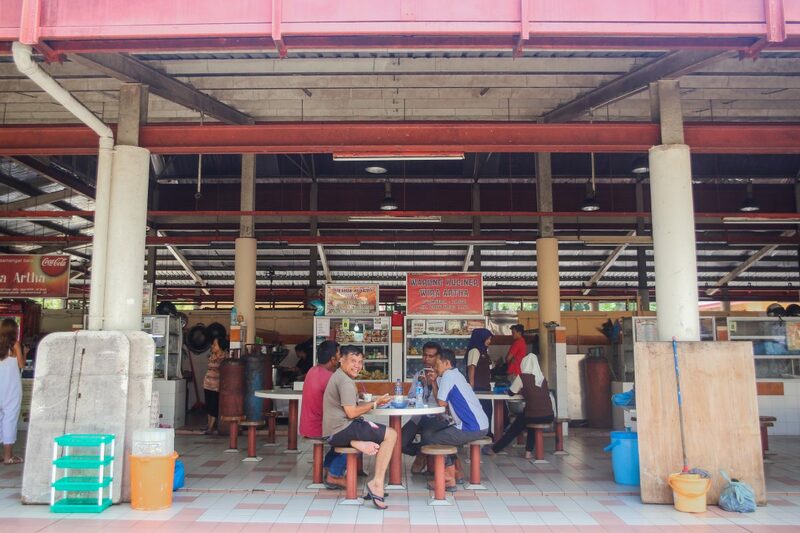 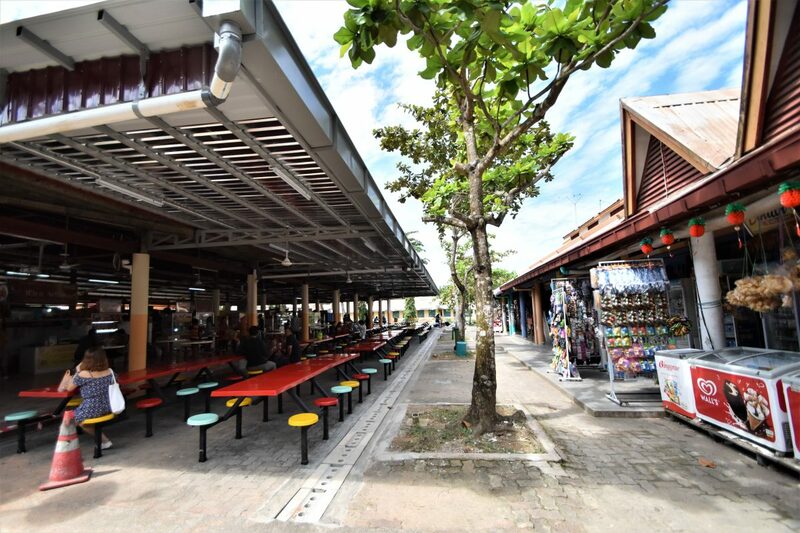 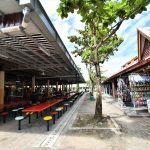 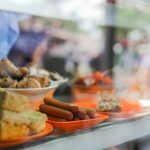 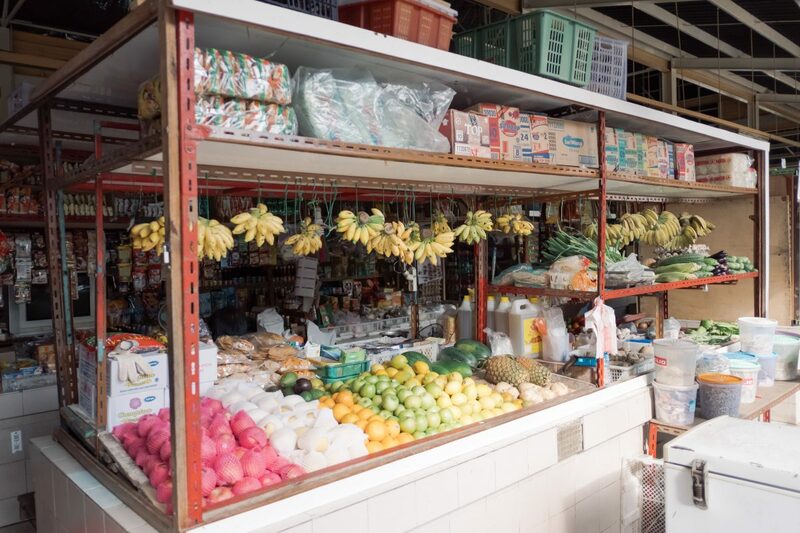 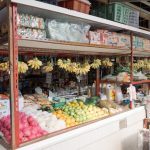 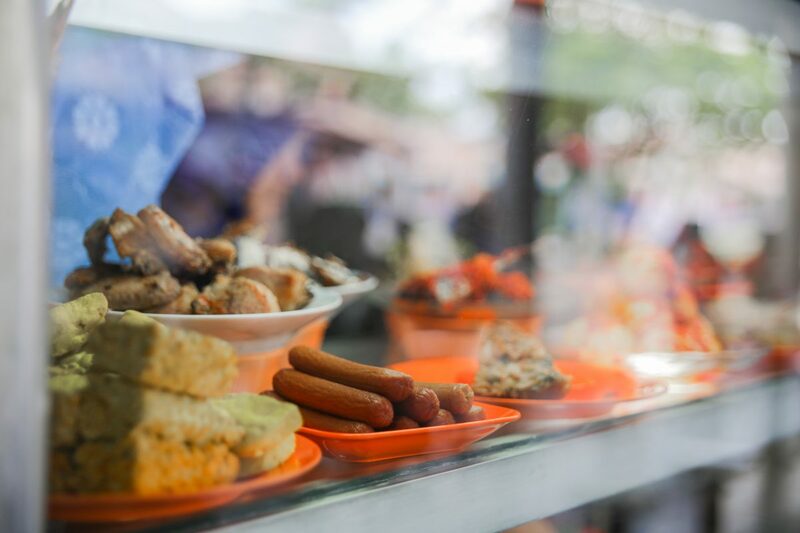 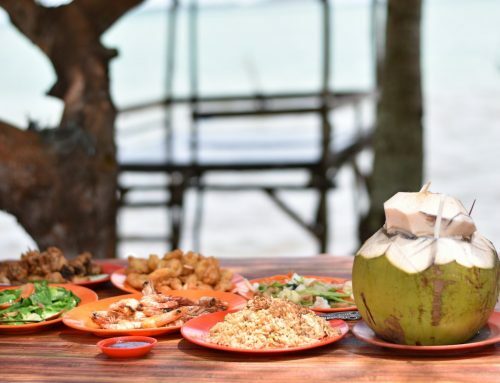 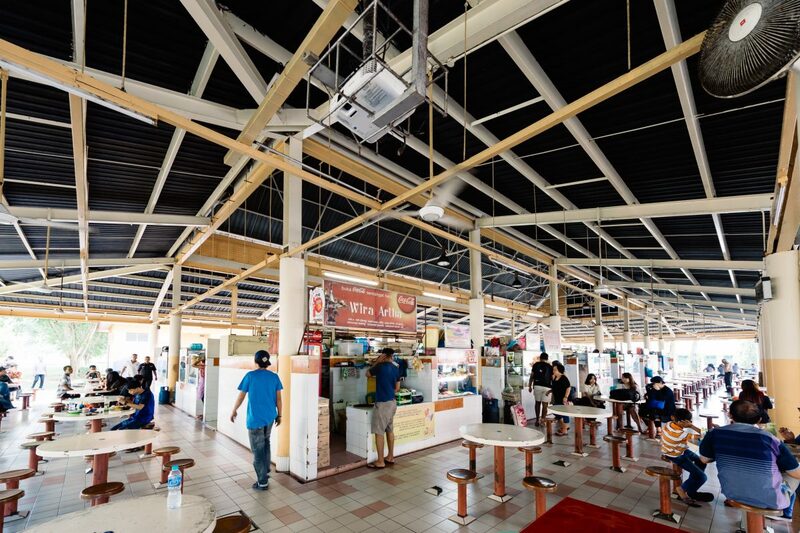 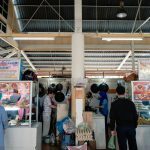 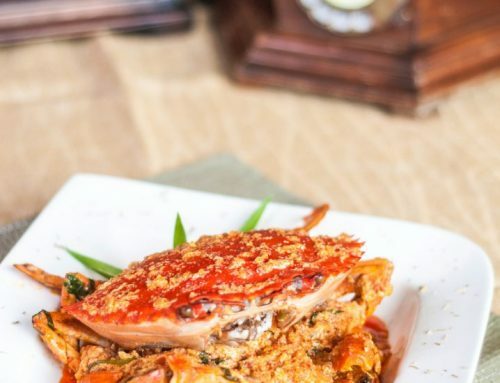 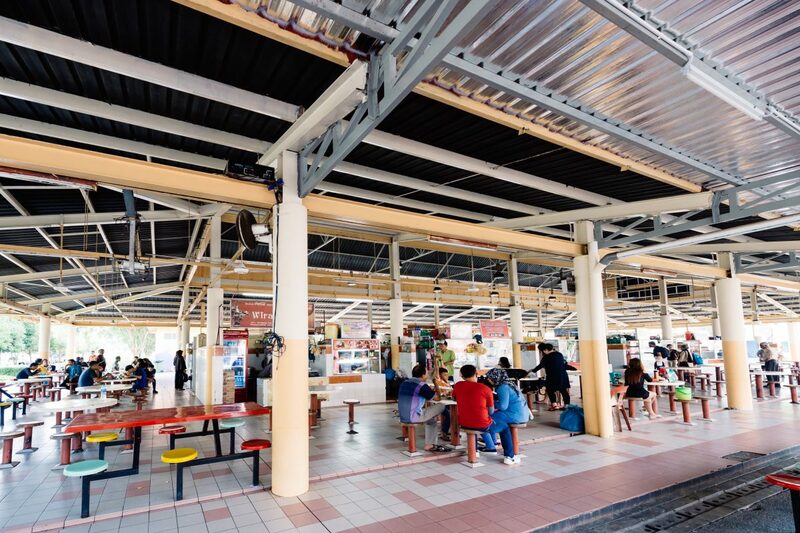 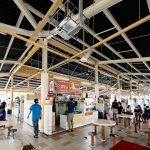 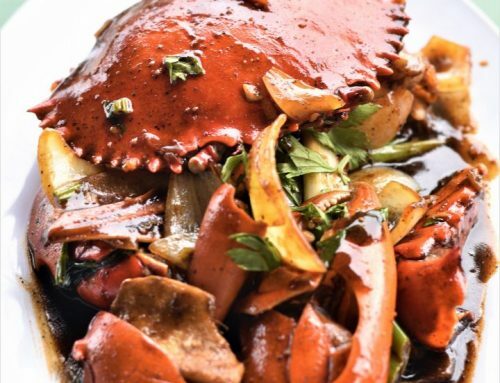 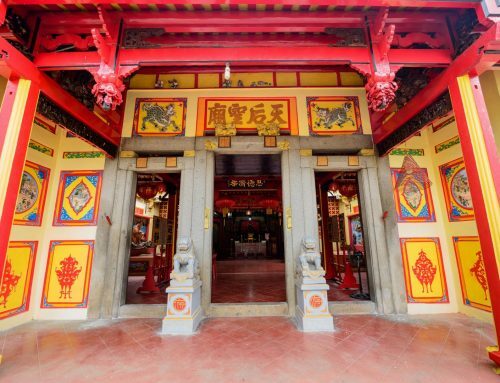 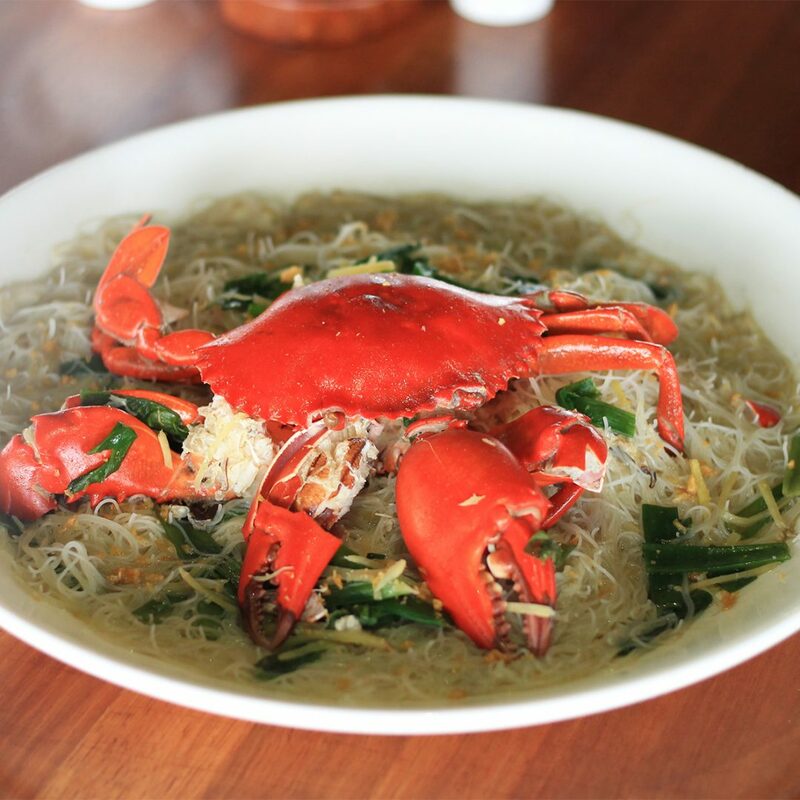 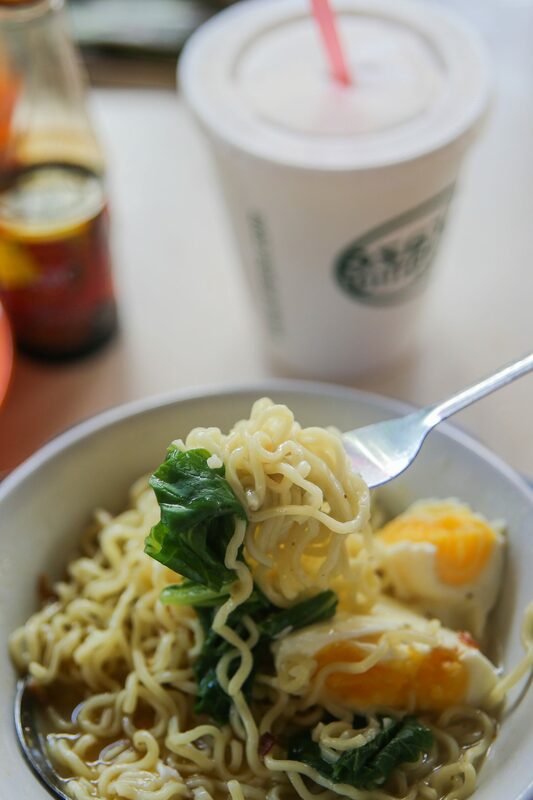 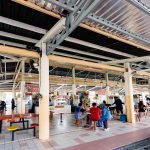 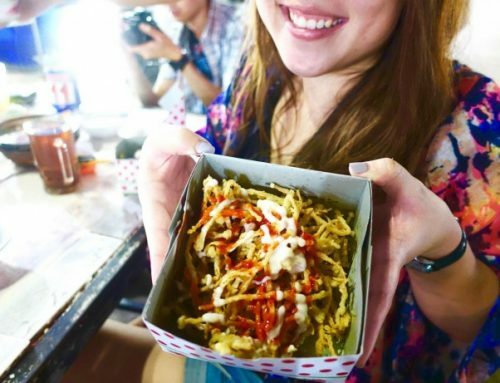 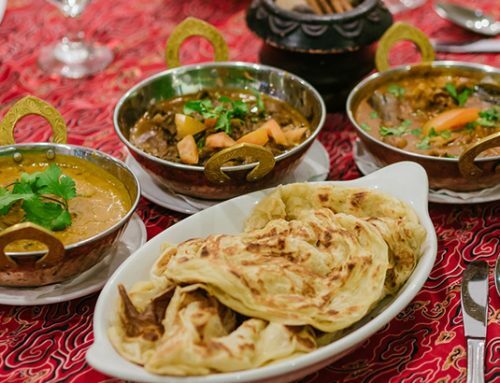 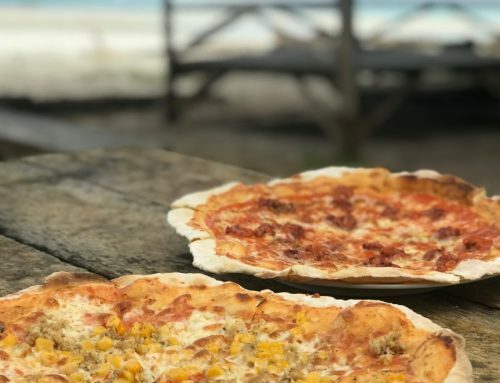 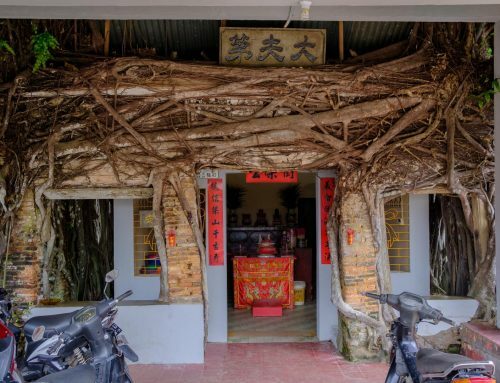 The Pujasera Hawker Centre is a recommended stopover to curb your hunger pangs, as well as to cross out your gastronomical checklist on local Bintan cuisine. 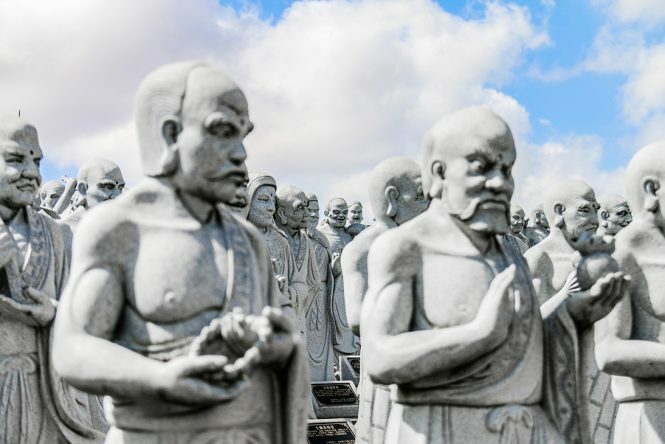 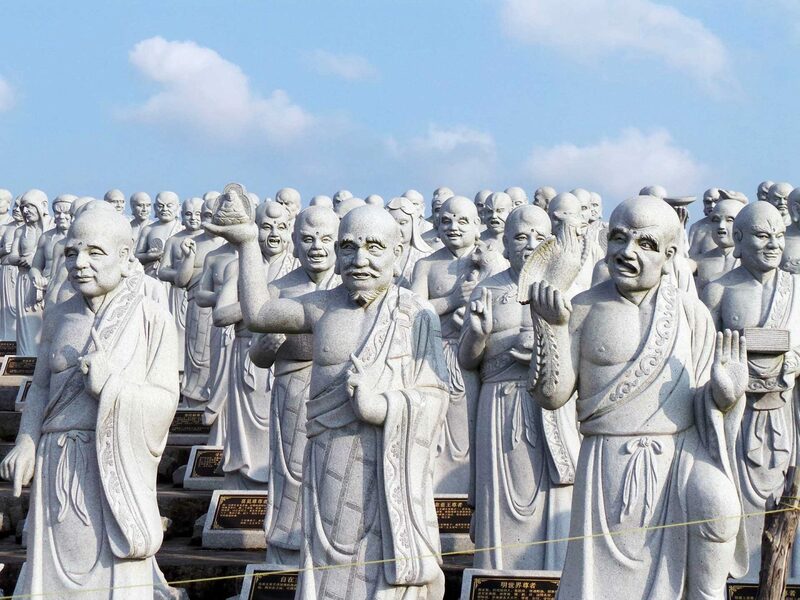 There is certainly more than meets the eye over at Pujasera. 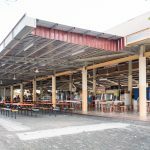 Circle to the back of the food centre to spot a small wet market with plenty of local groceries available for purchase. 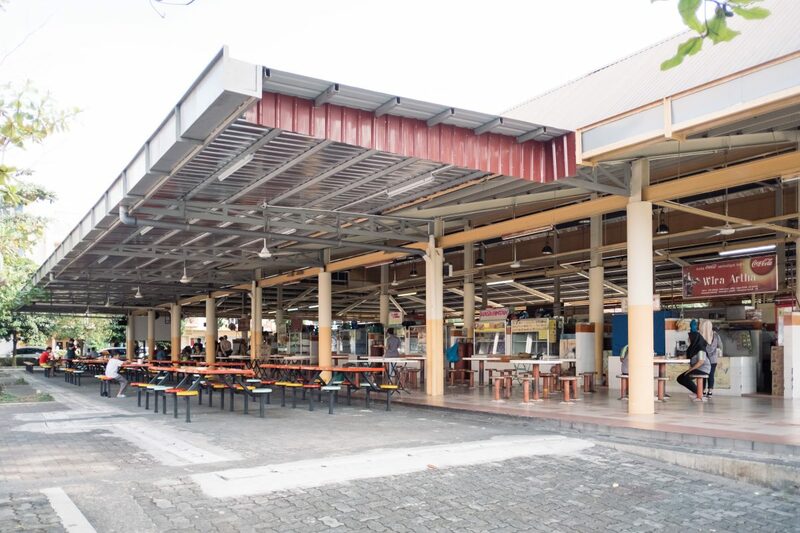 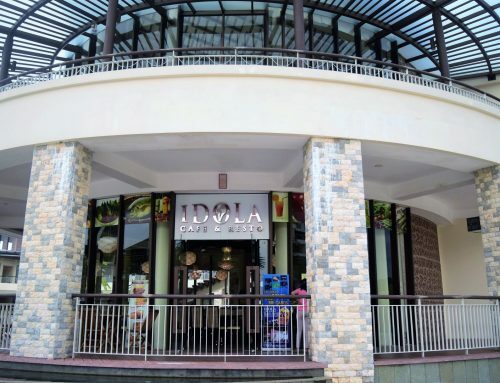 Cross over to the provision stores near the food centre for a quick pit stop. 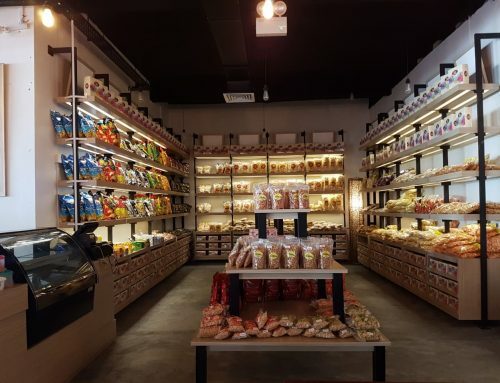 Stock up on a couple of keropok (prawn crackers), snacks, drinks and souvenirs back to your resort. 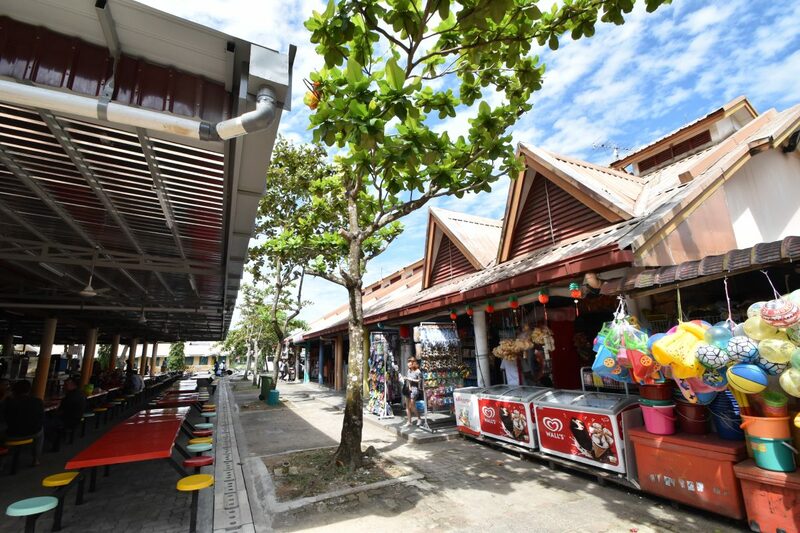 The row of provision stores also sells daily necessities and data SIM cards, catering to your every need on this island getaway. 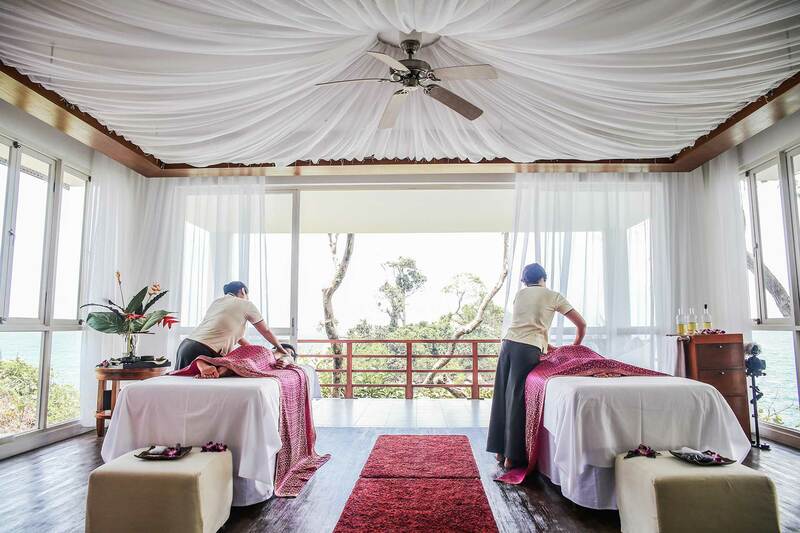 You may also unwind your weary muscles at D’Bintan Salon Day Spa or De Green Massage – both located adjacent from the food centre. 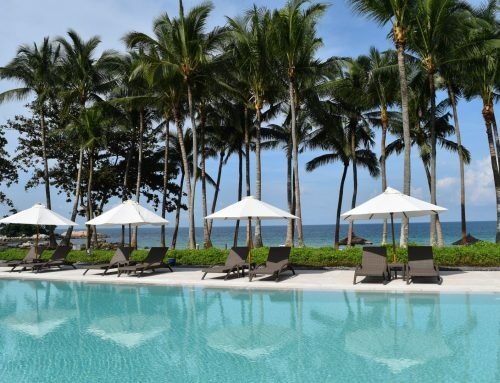 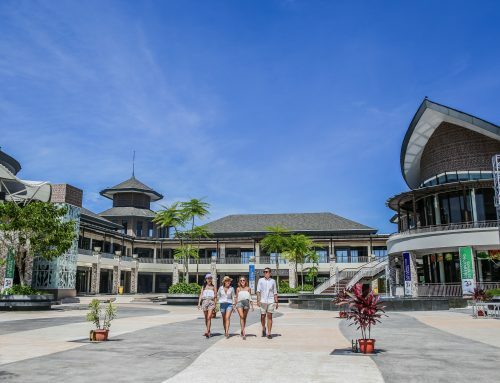 Two-way transportation to and from the resorts are often provided when you make reservations in advance. 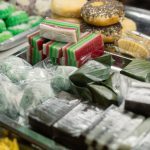 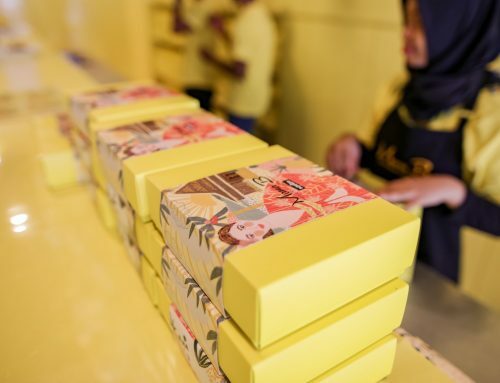 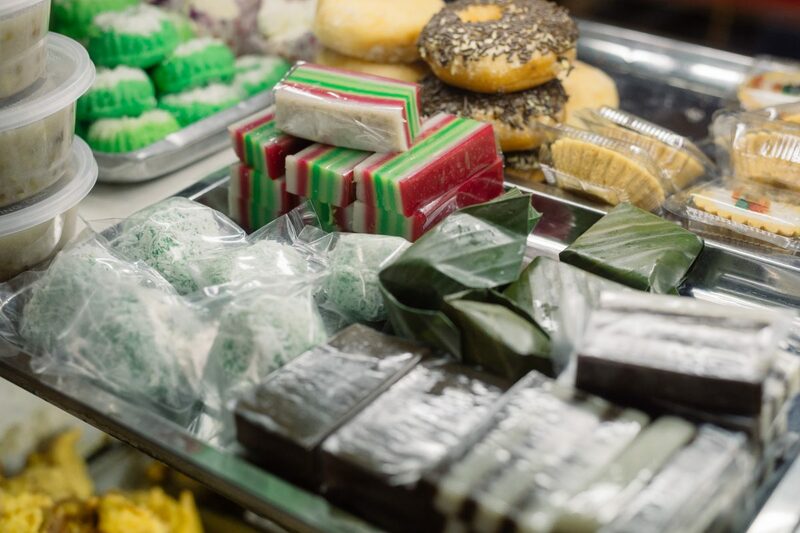 For the eagle-eyed, try to spot a store selling kueh-lapis (thousand layered cake) in the vicinity and bring home a cake or two. 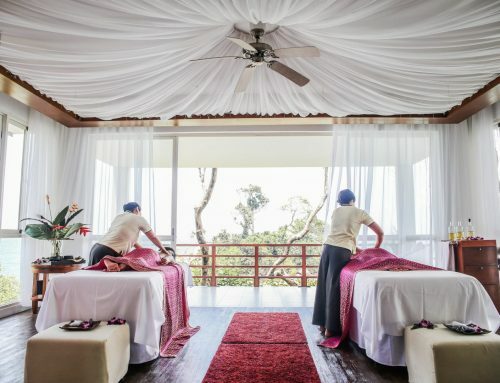 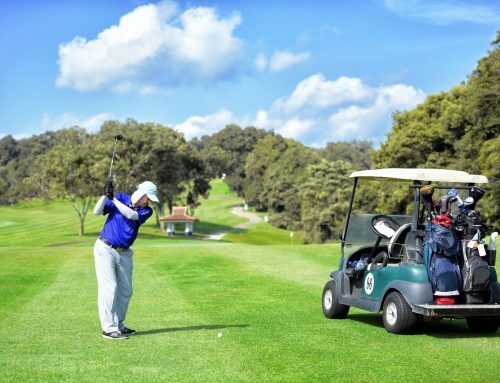 You may choose to arrange for a two-way transportation from your hotel in the evening hours to eat out, or pair it with a relaxation session at the spa. 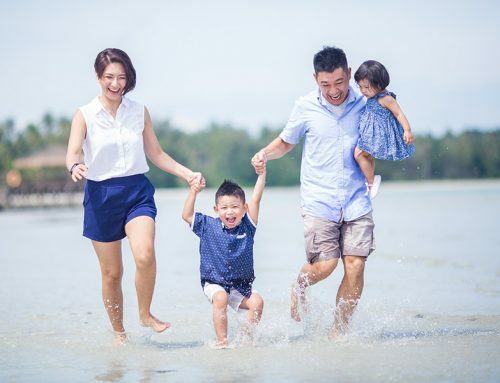 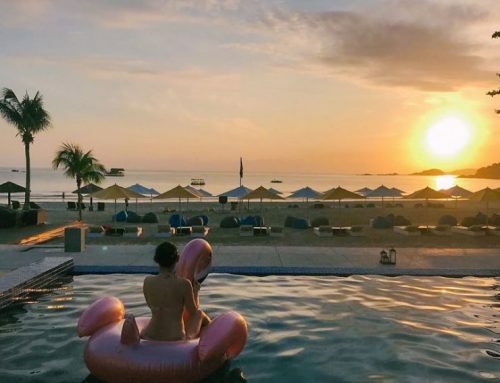 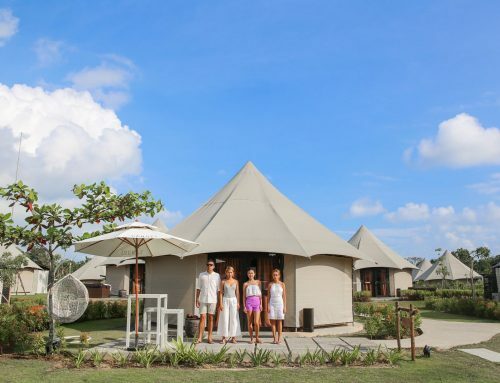 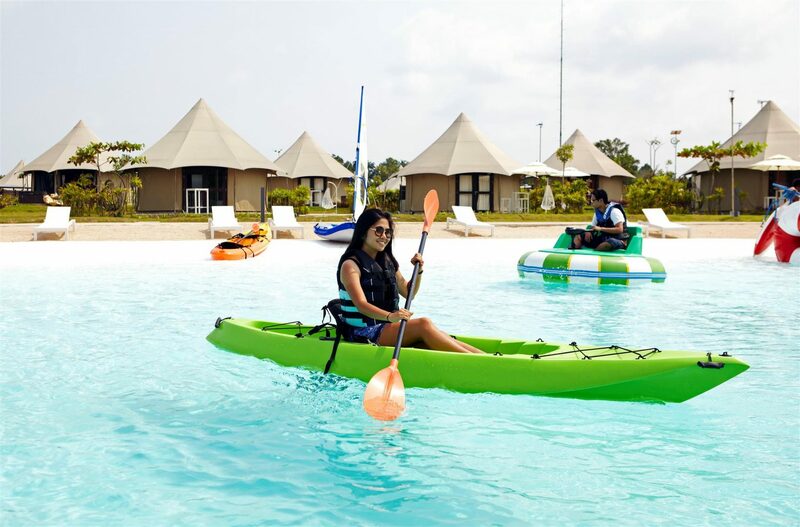 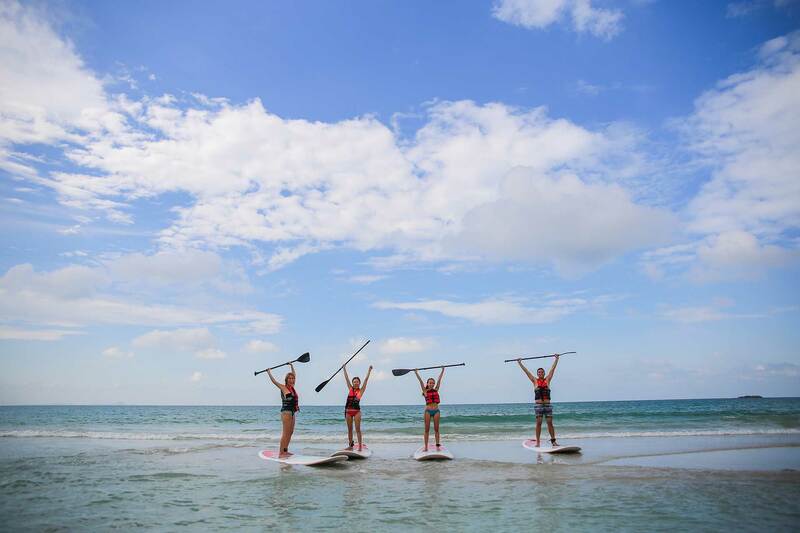 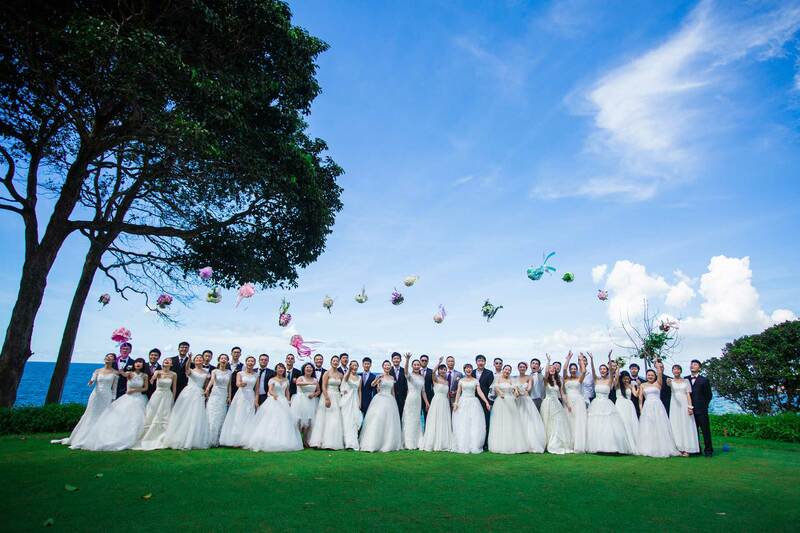 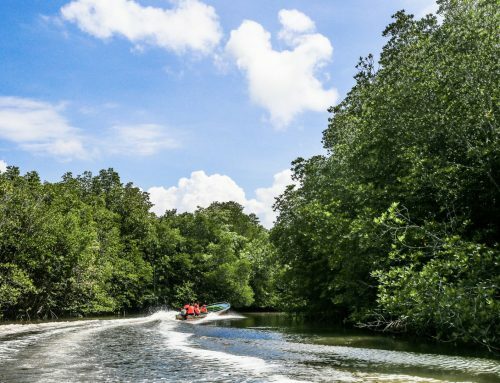 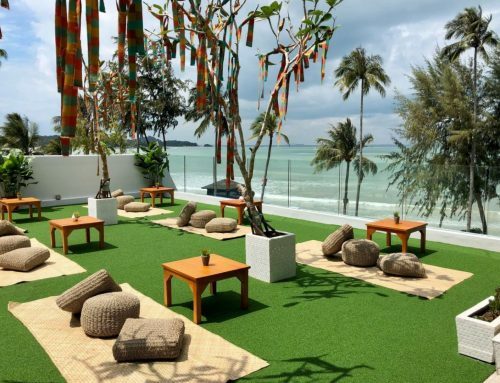 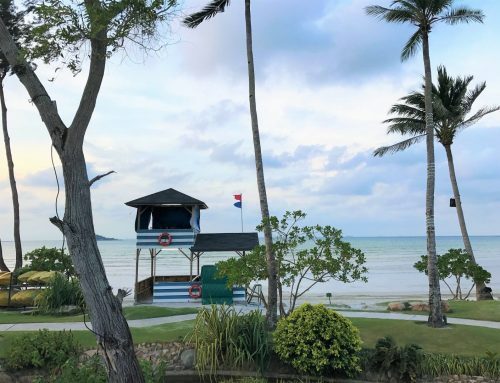 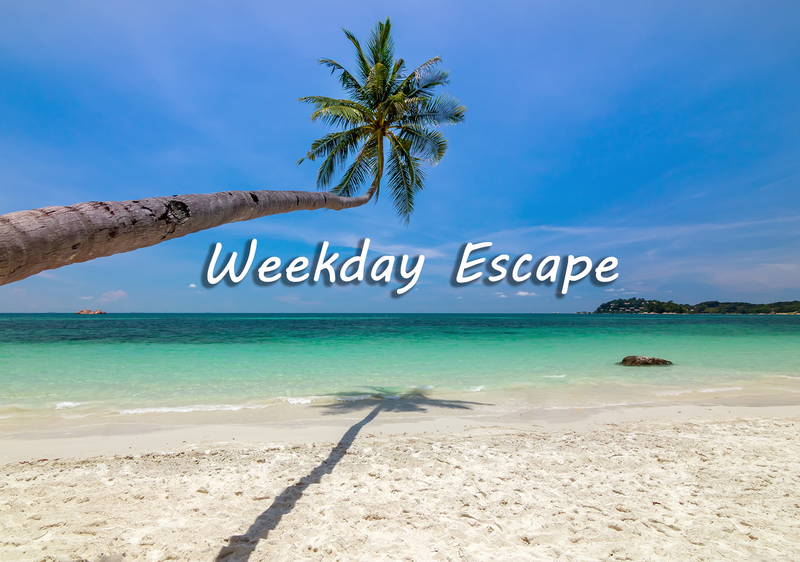 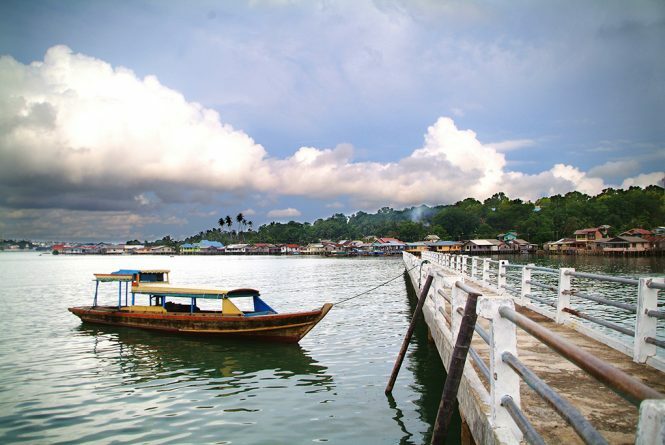 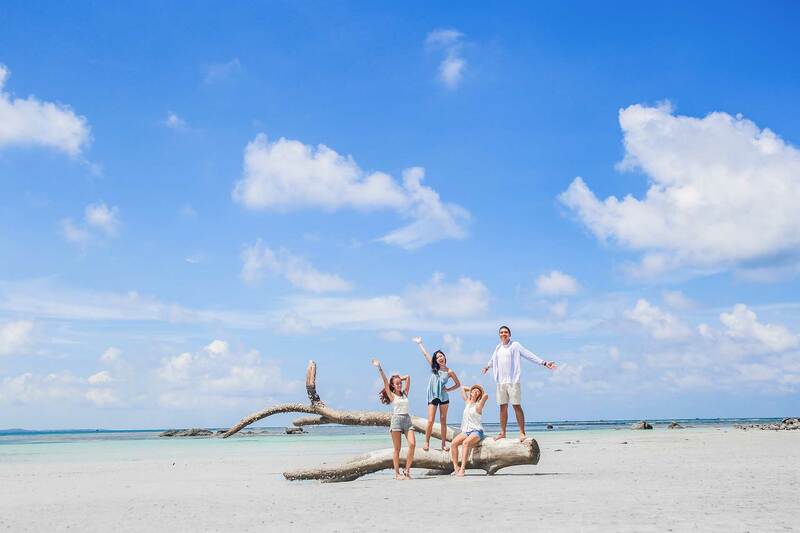 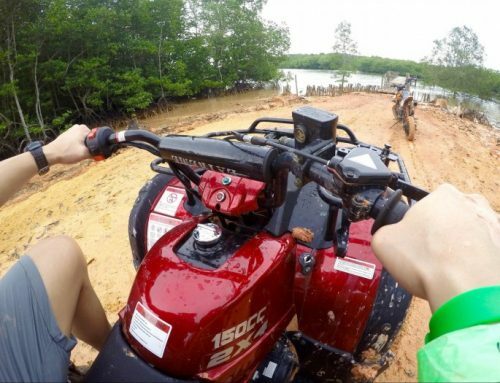 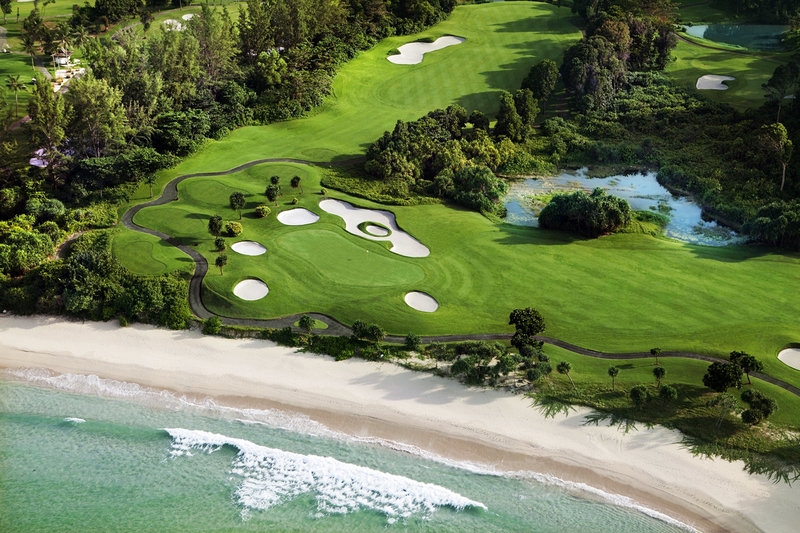 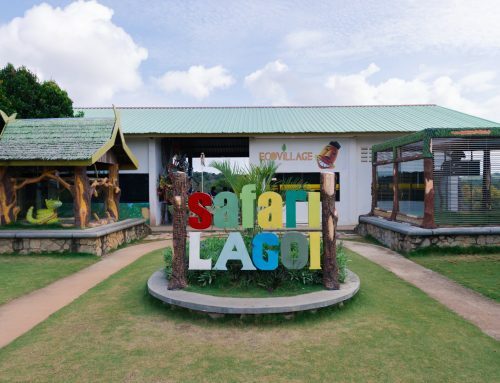 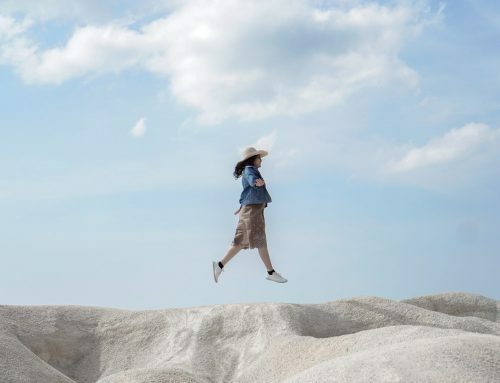 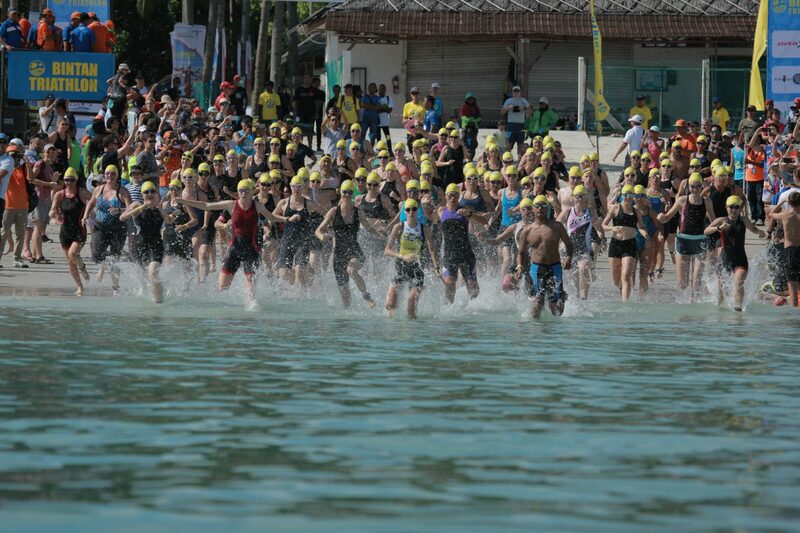 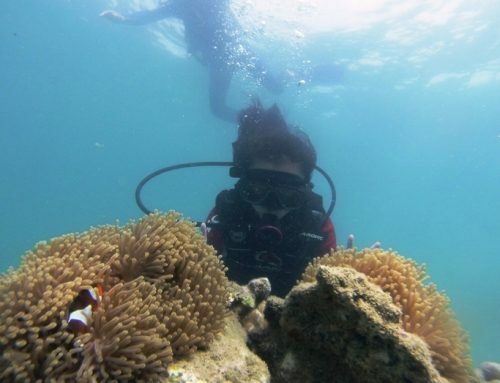 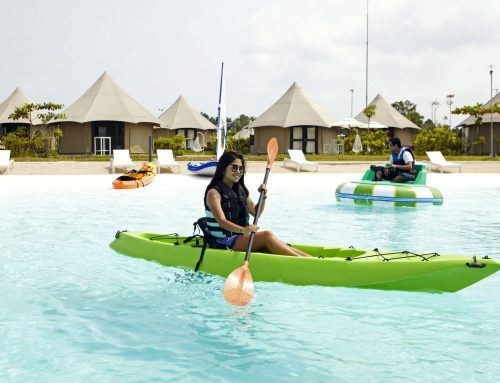 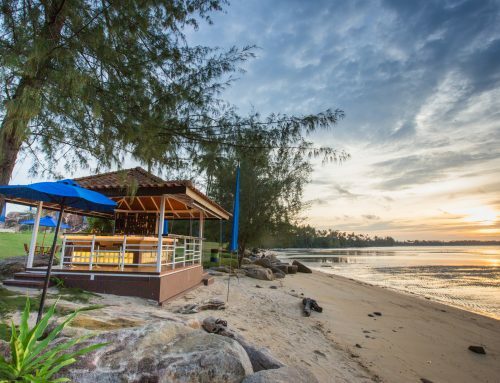 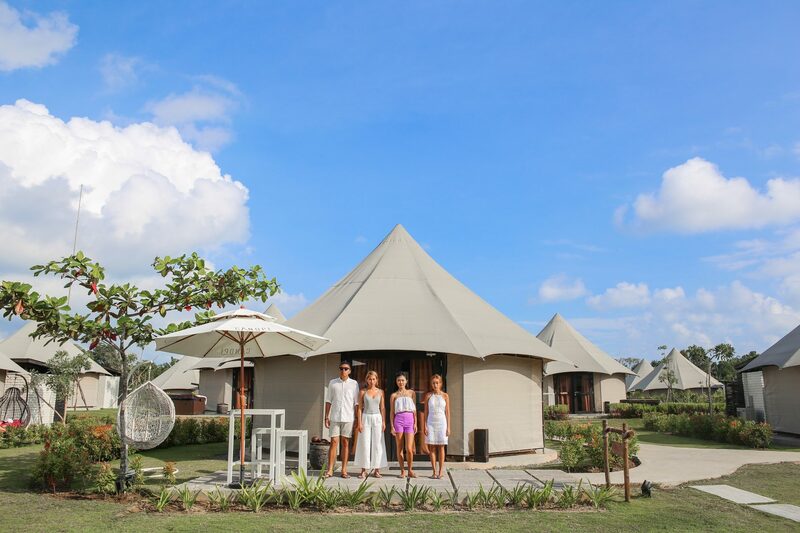 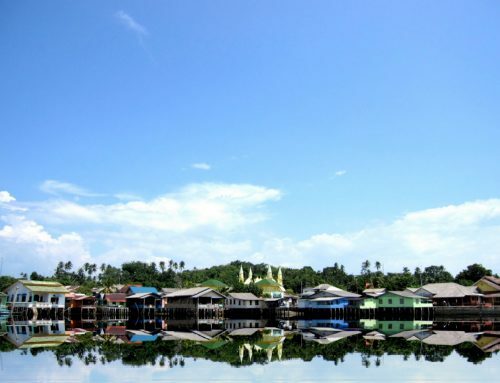 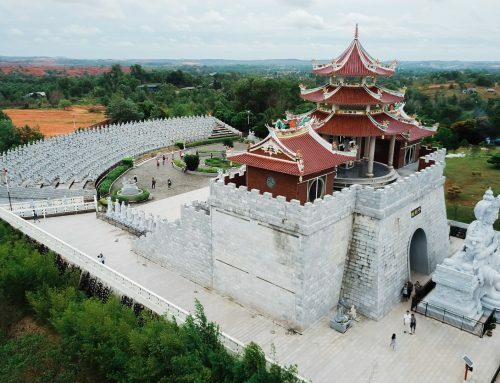 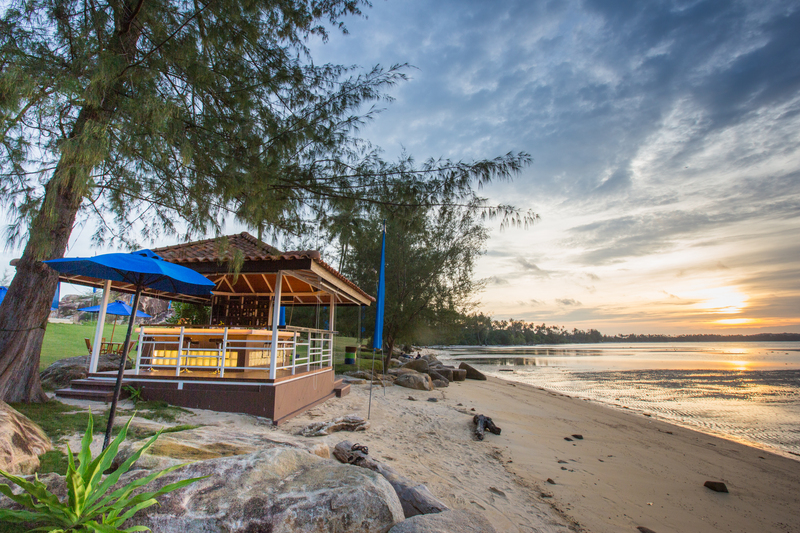 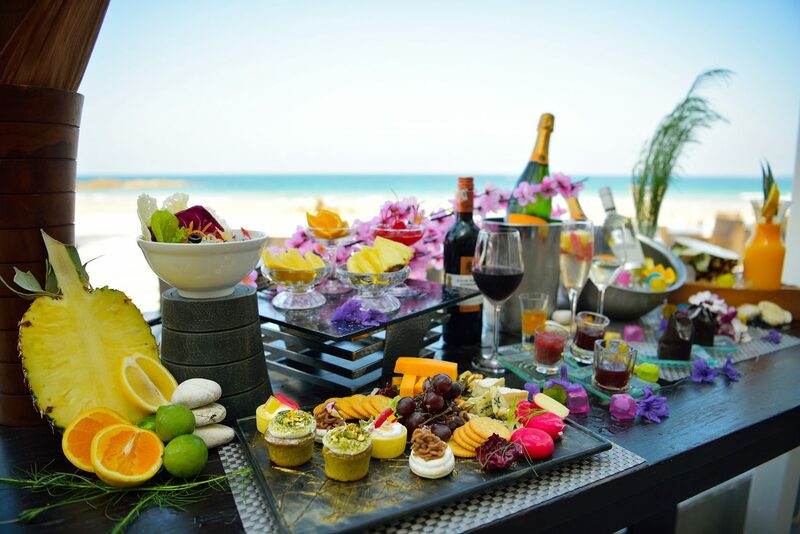 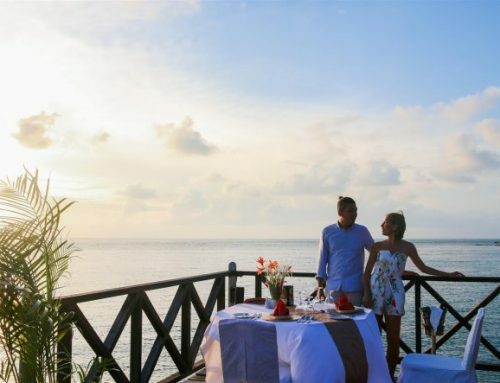 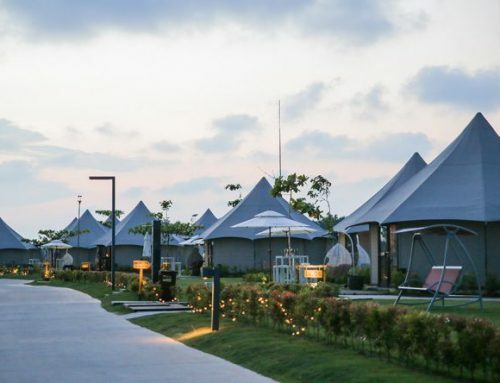 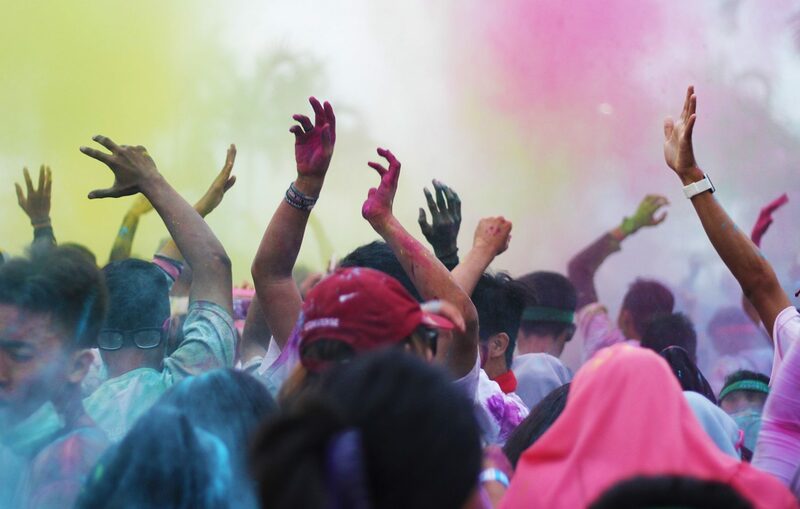 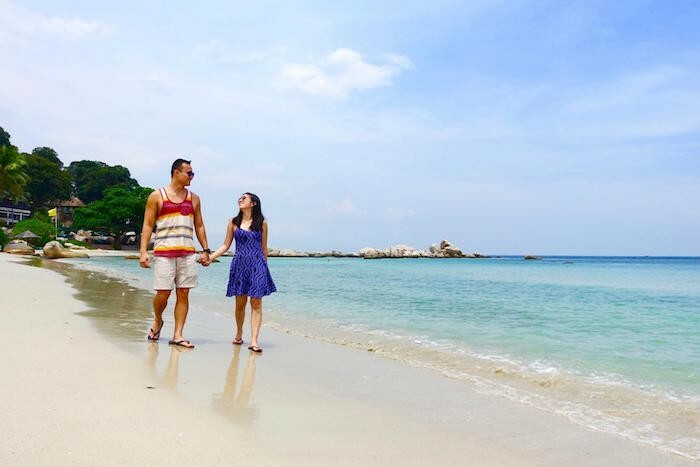 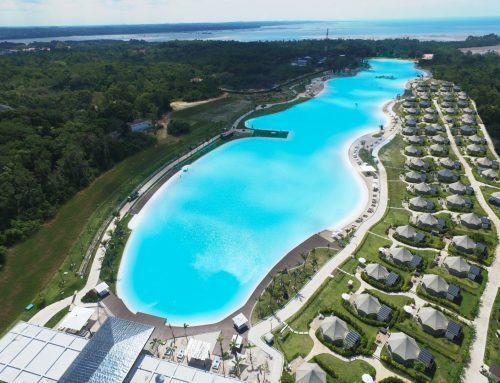 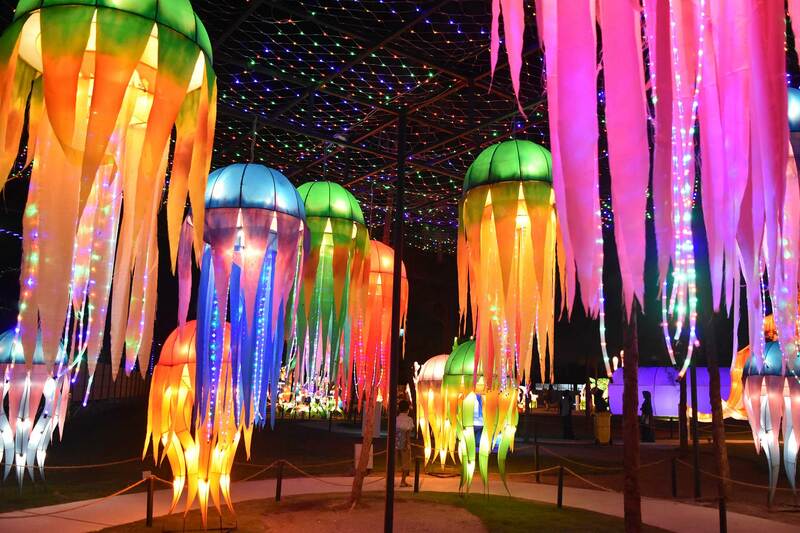 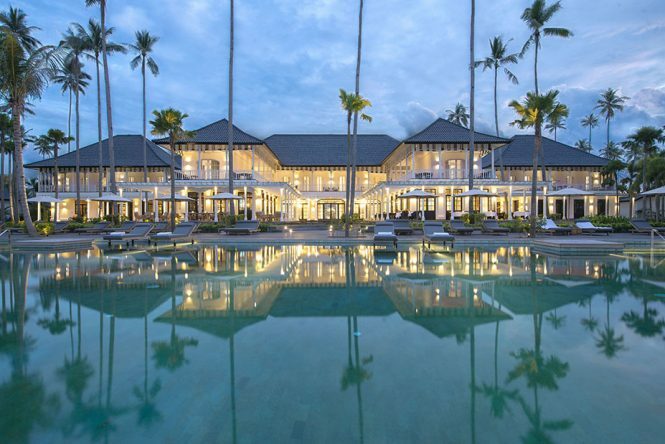 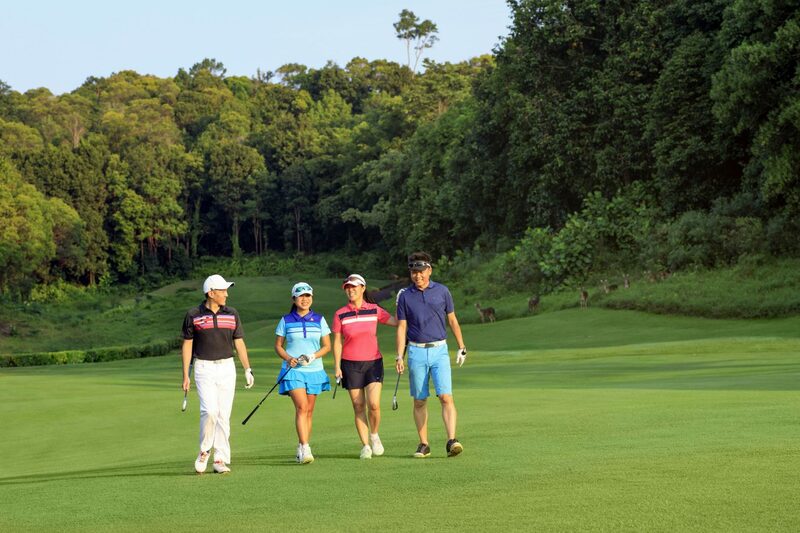 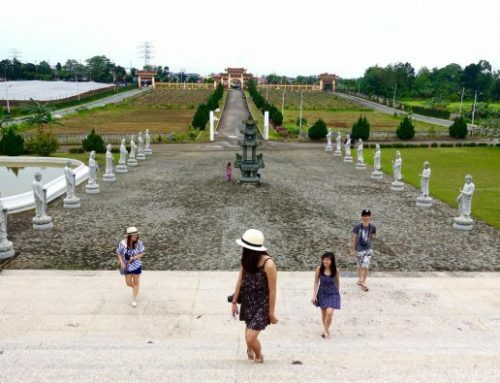 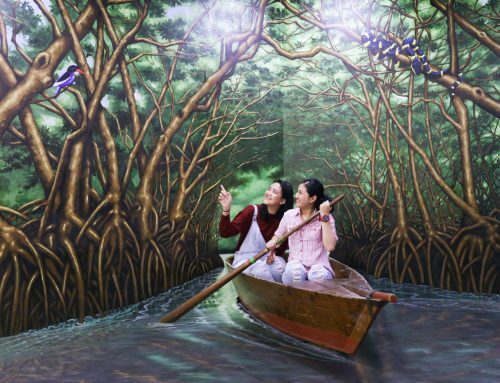 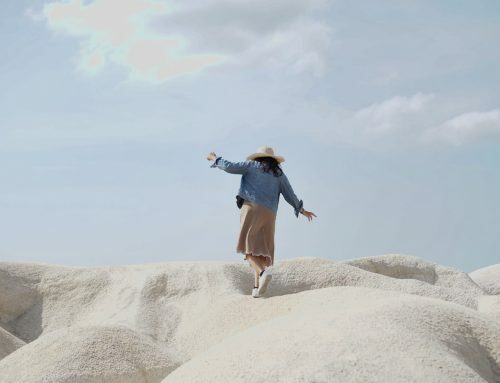 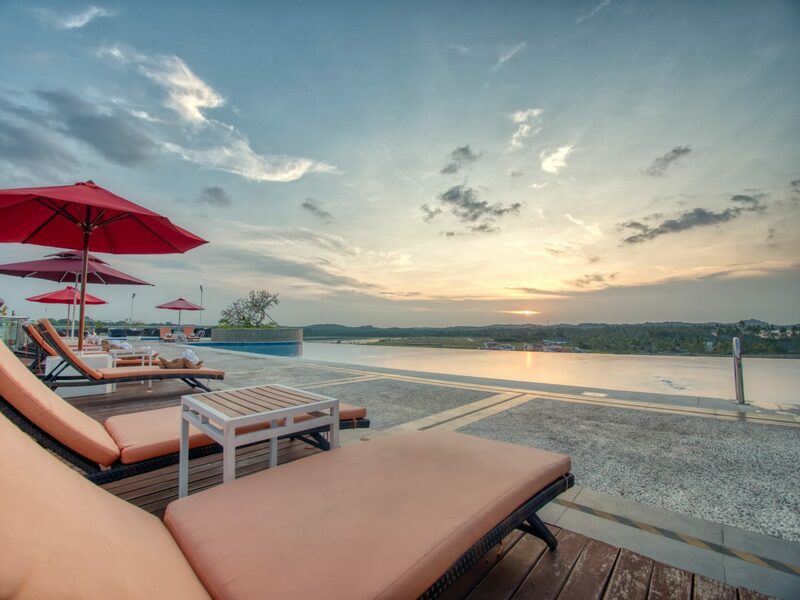 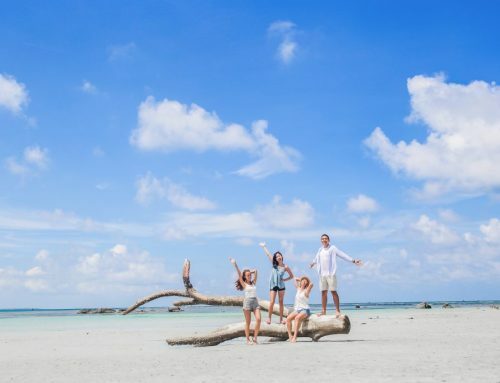 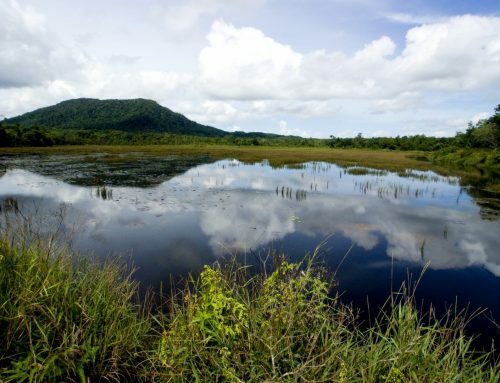 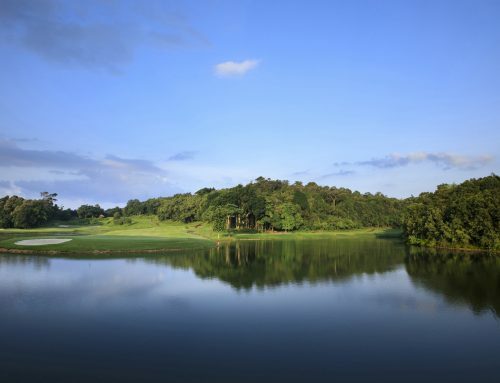 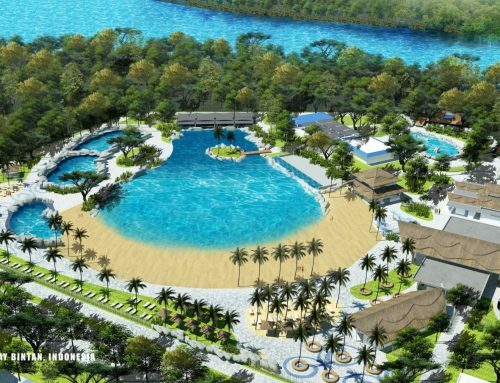 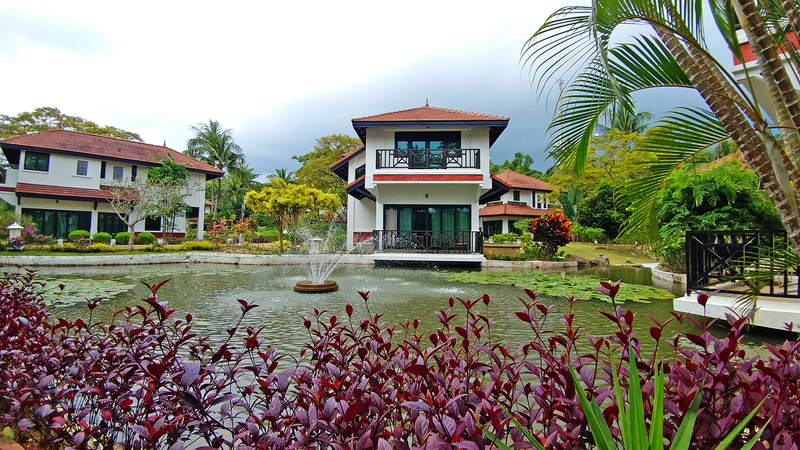 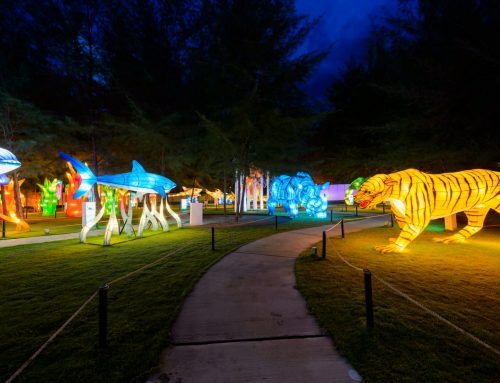 Alternatively, draw up a one-day itinerary with nearby attractions like Chill Cove @ Treasure Bay Bintan, Safari Lagoi and Eco Farm, Plaza Lagoi, Nirwana Gardens Jumbo Elephant Park or go on a Mangrove Discovery Tour. 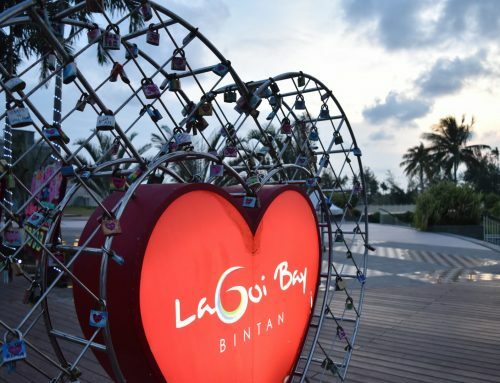 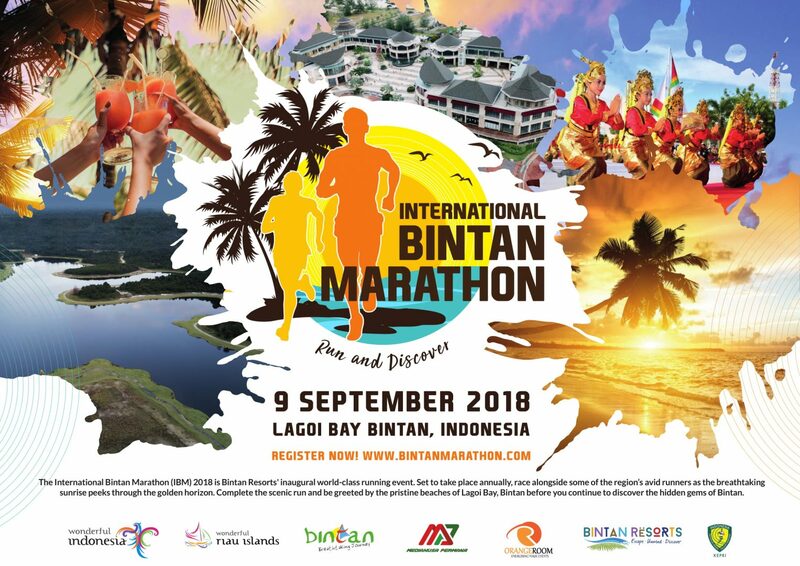 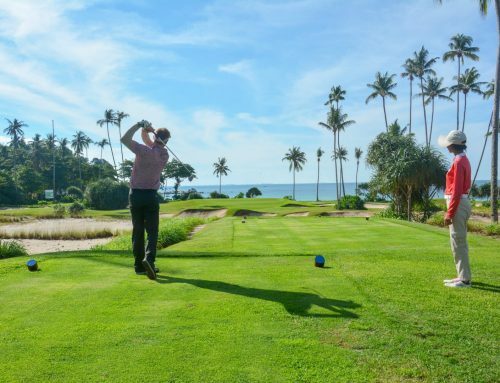 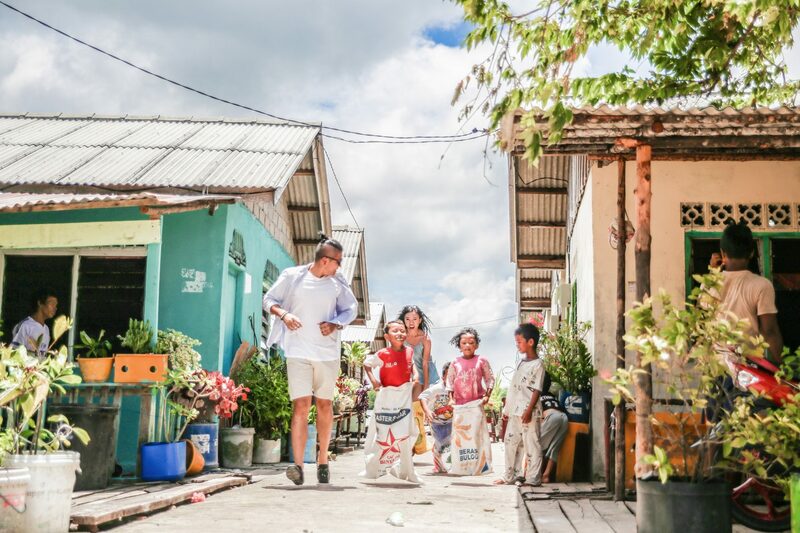 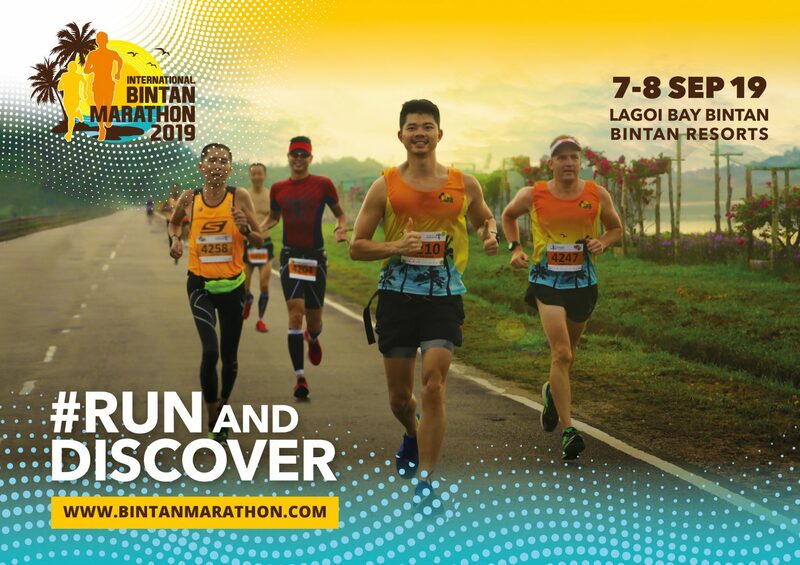 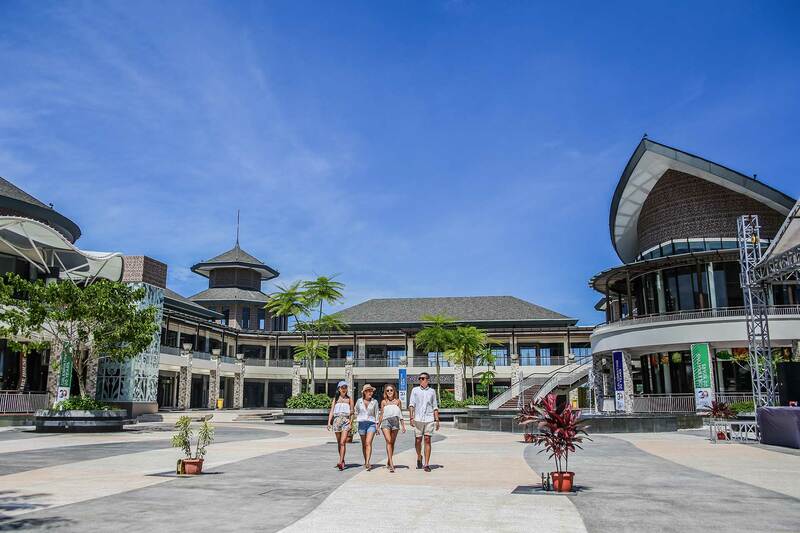 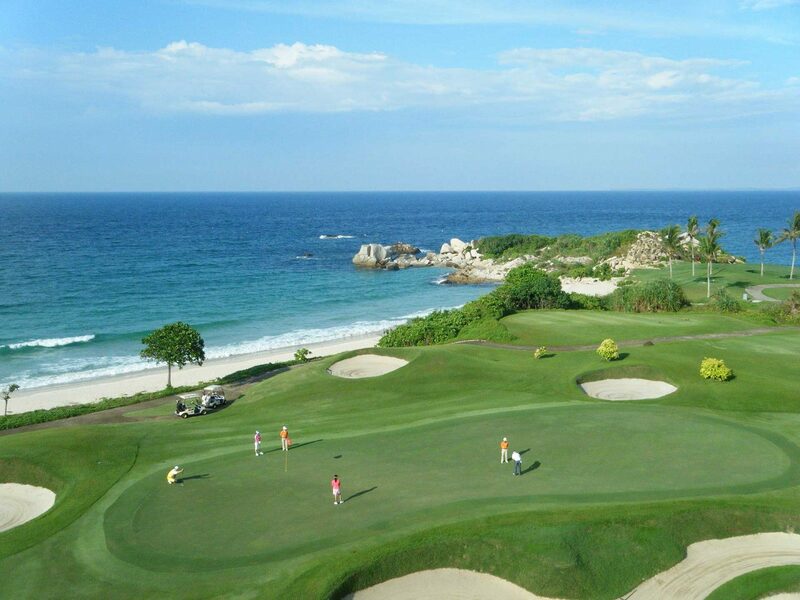 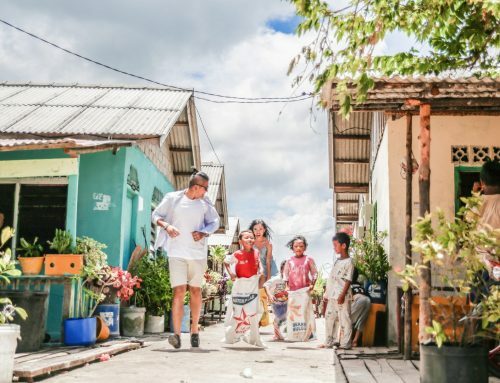 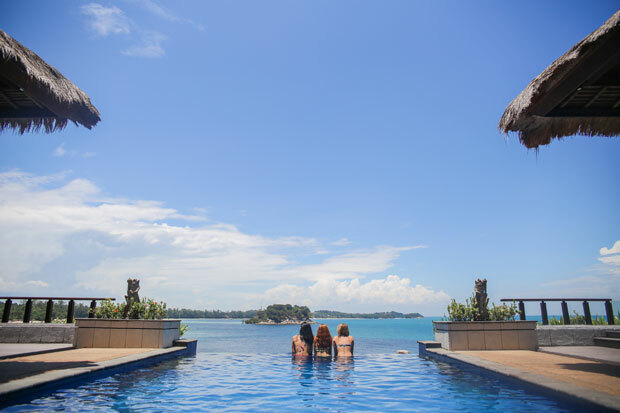 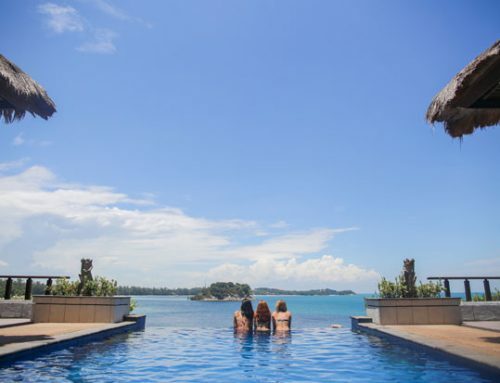 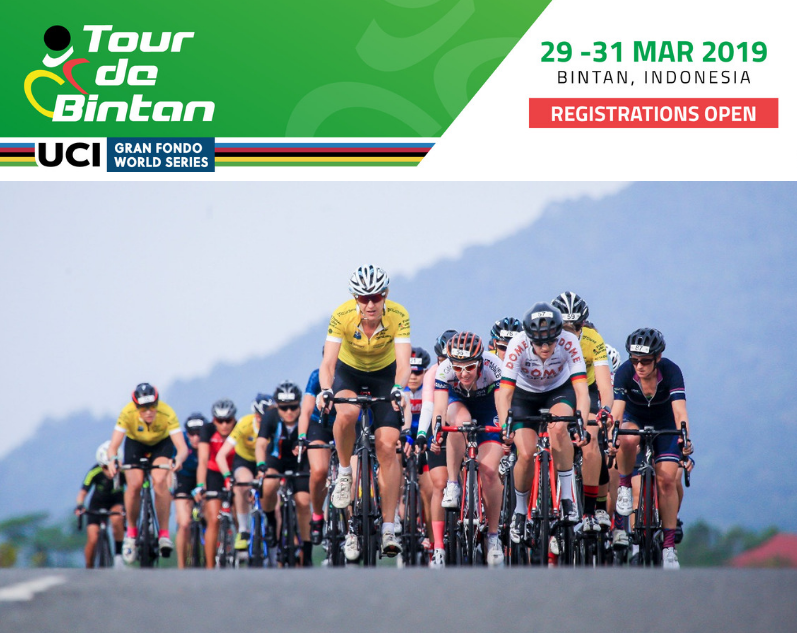 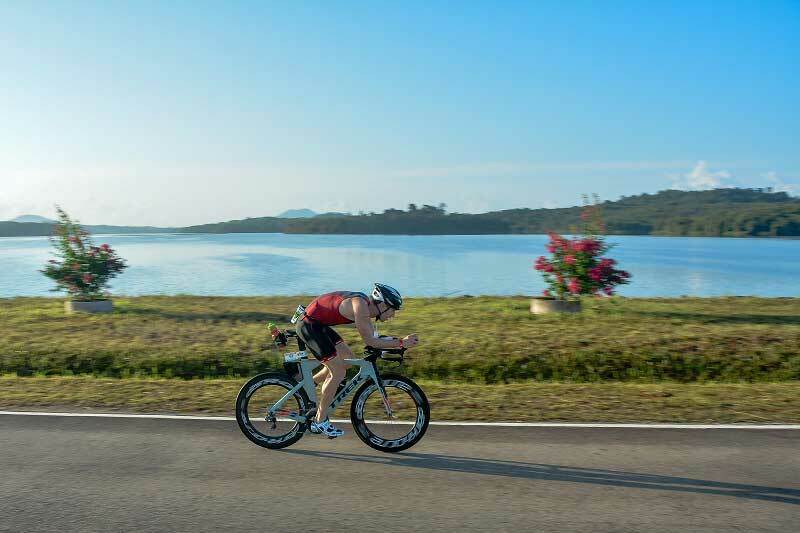 Alternatively, a free shuttle service that goes to resorts and public areas within Bintan Resorts is also available, simply check with your resort front desk on the pick up points and shuttle timings.